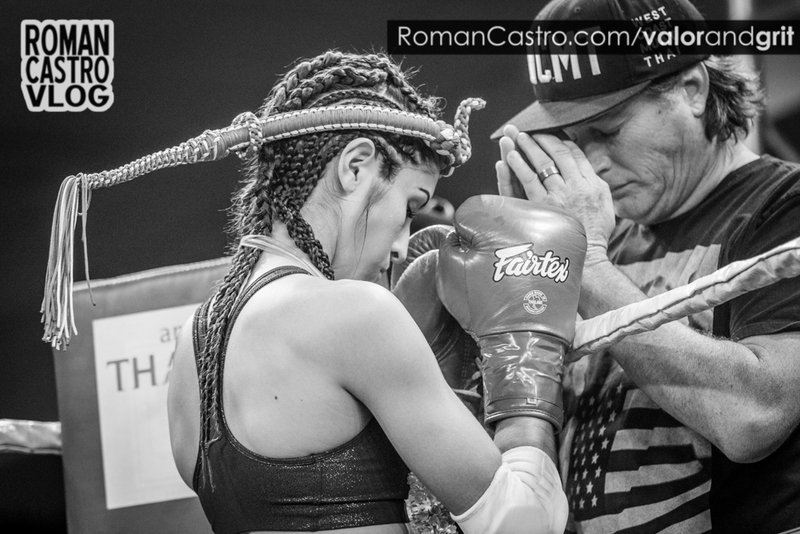 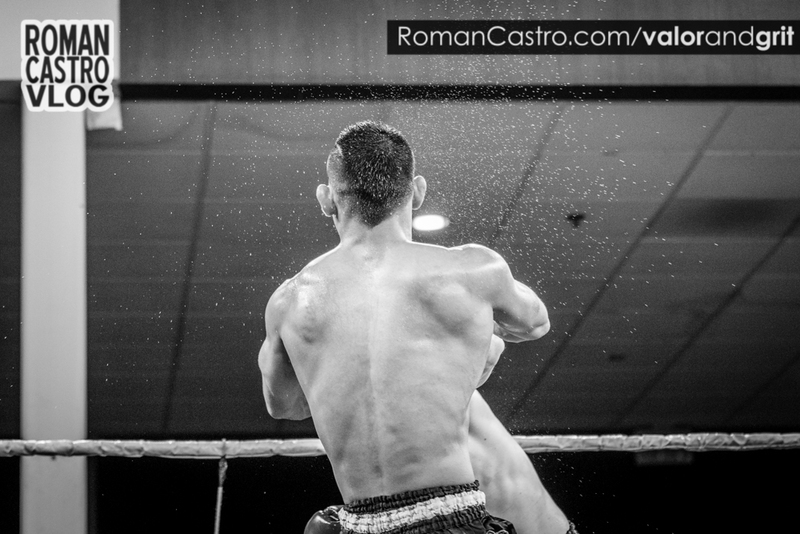 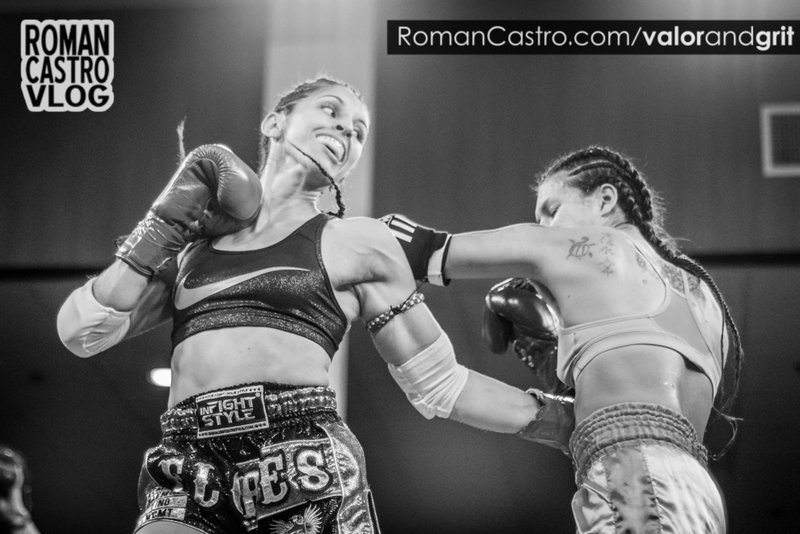 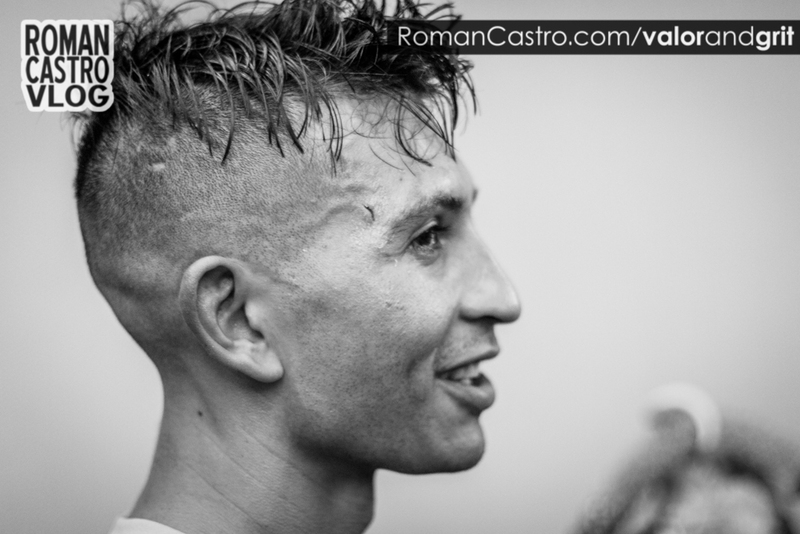 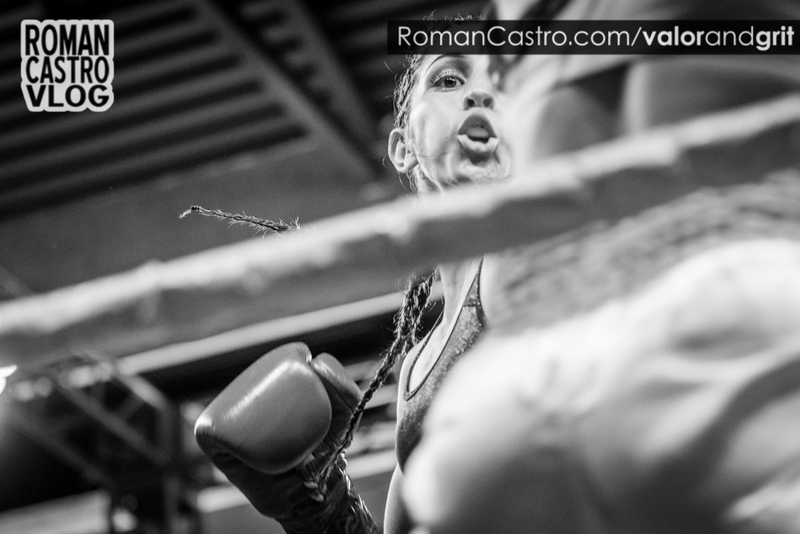 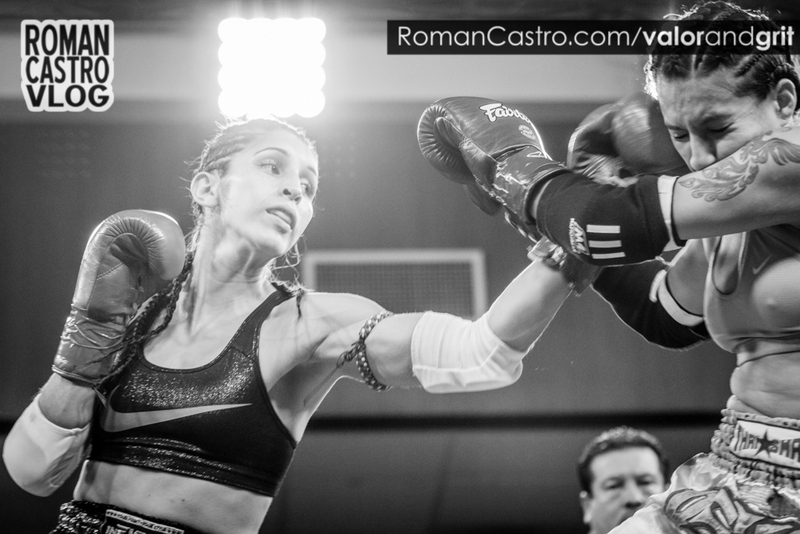 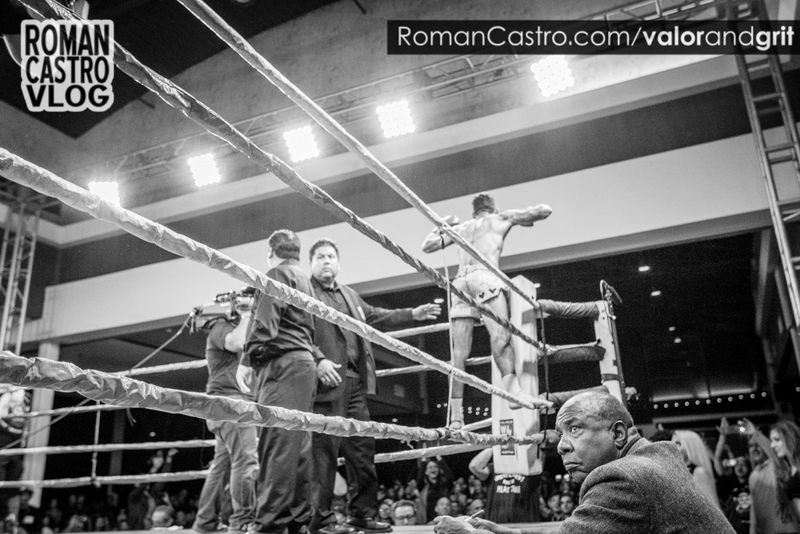 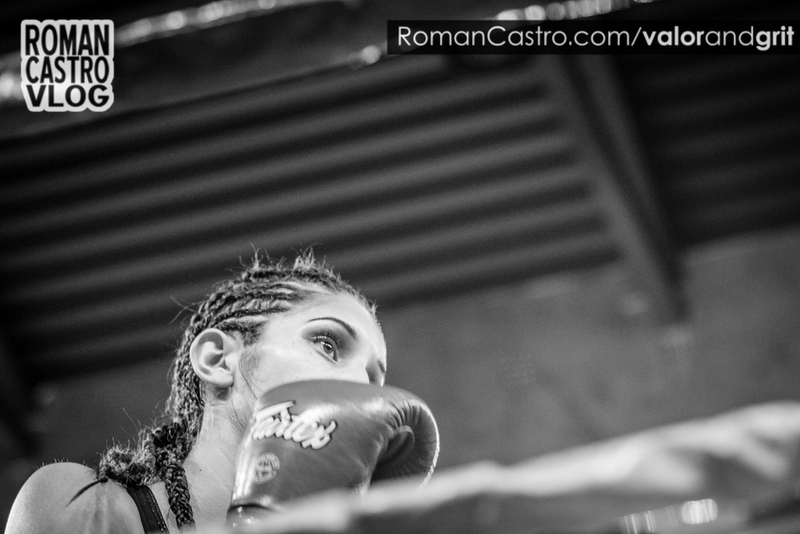 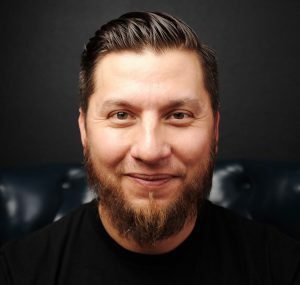 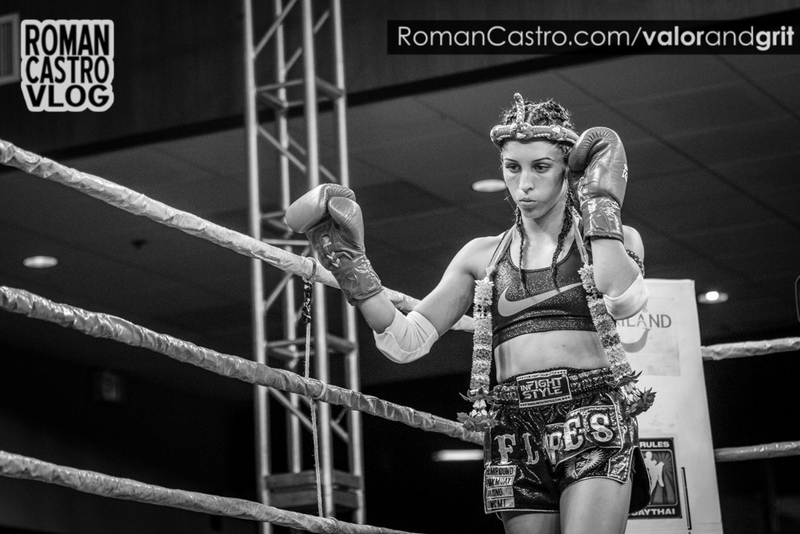 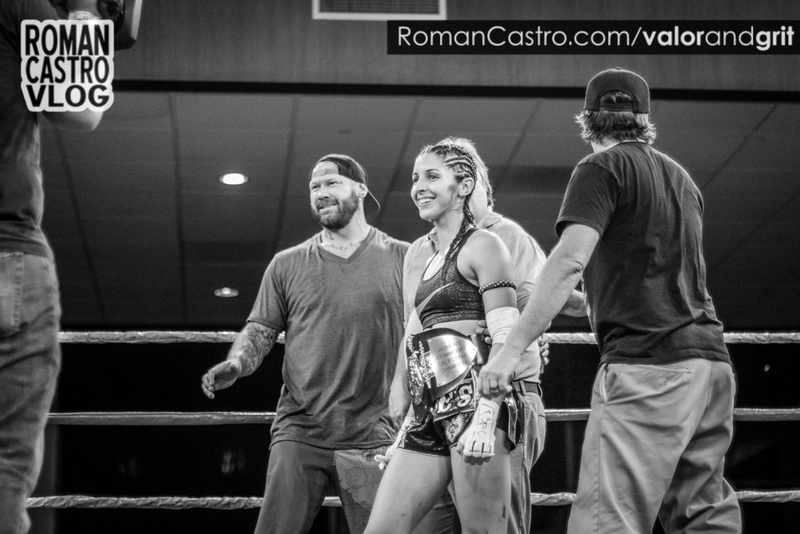 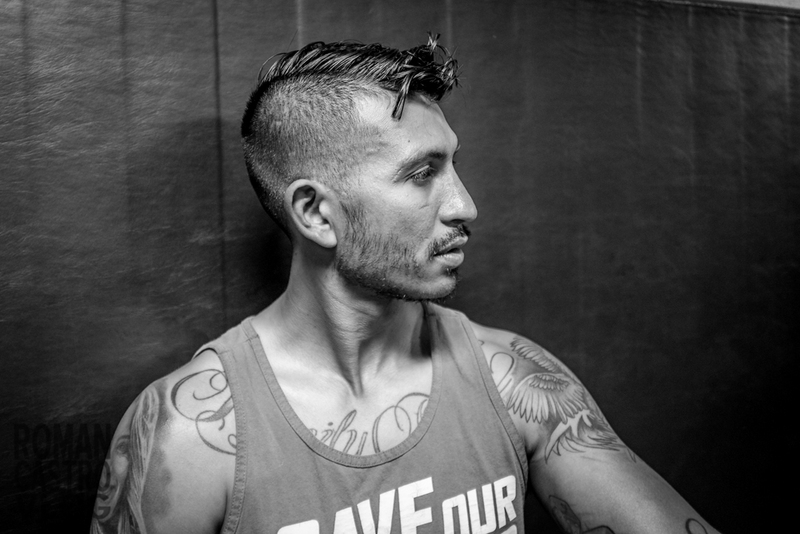 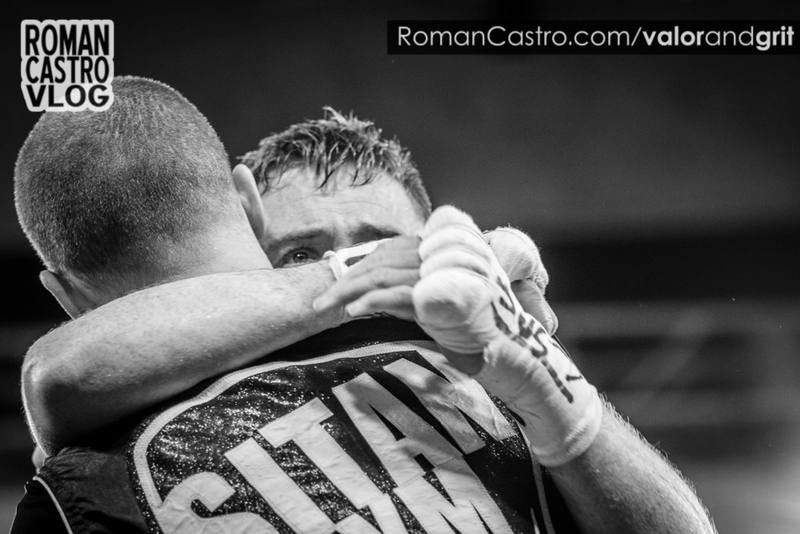 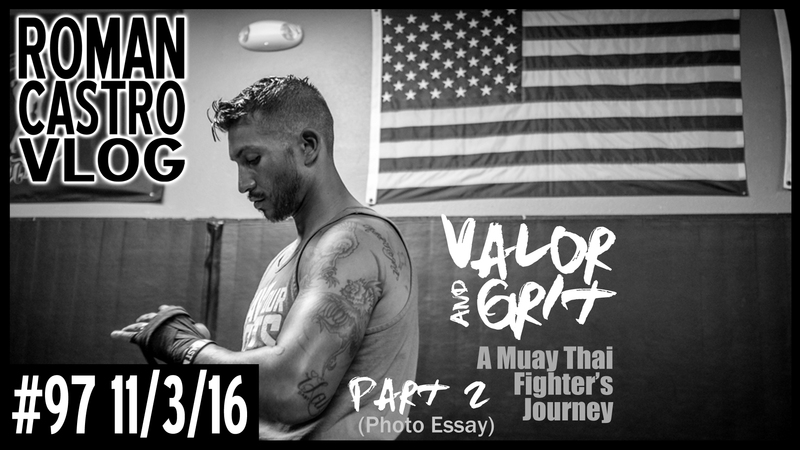 I’ve been working on the Valor & Grit photo essay with Franky that lead to an amazing opportunity. 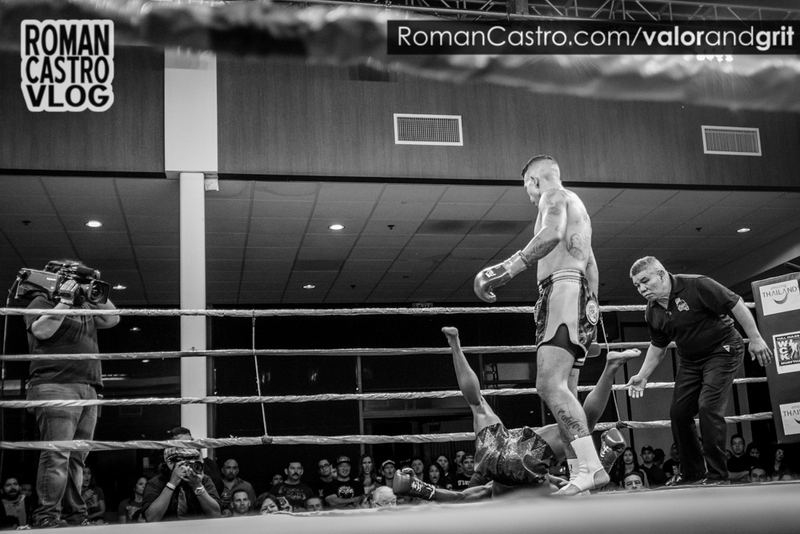 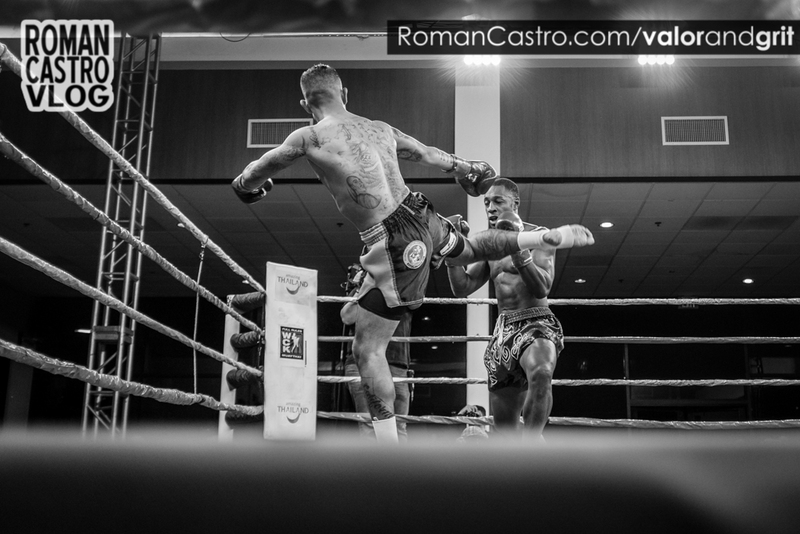 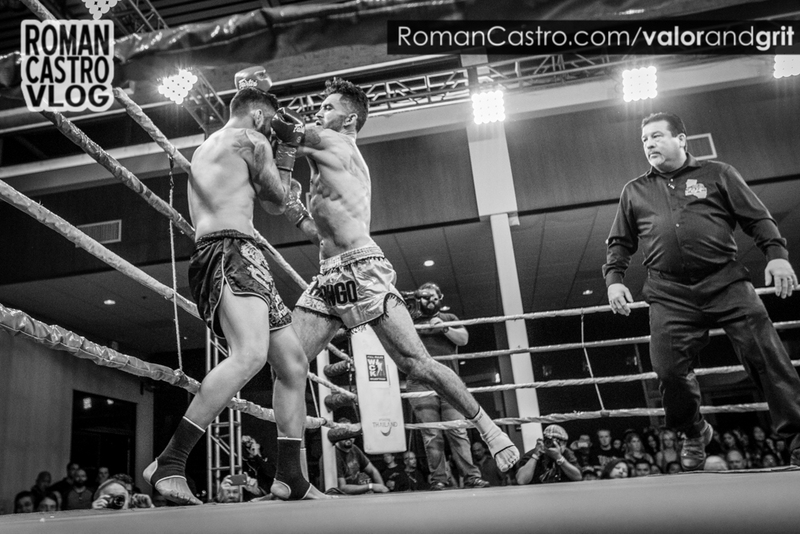 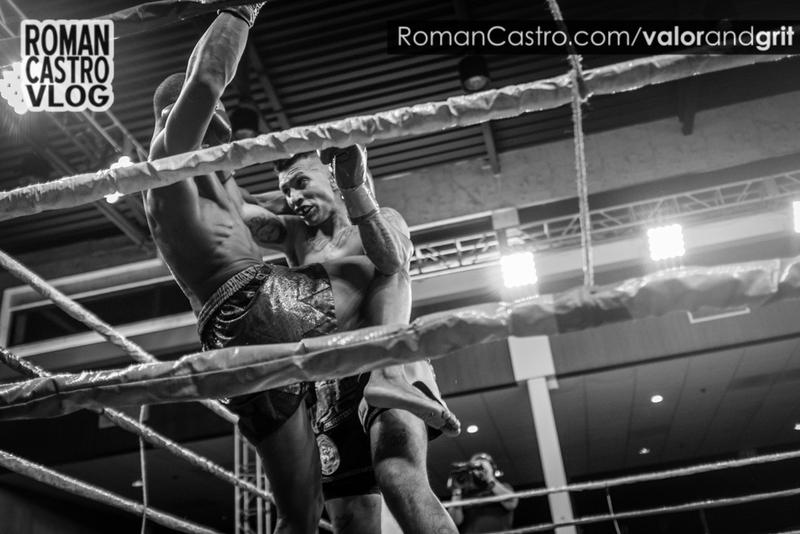 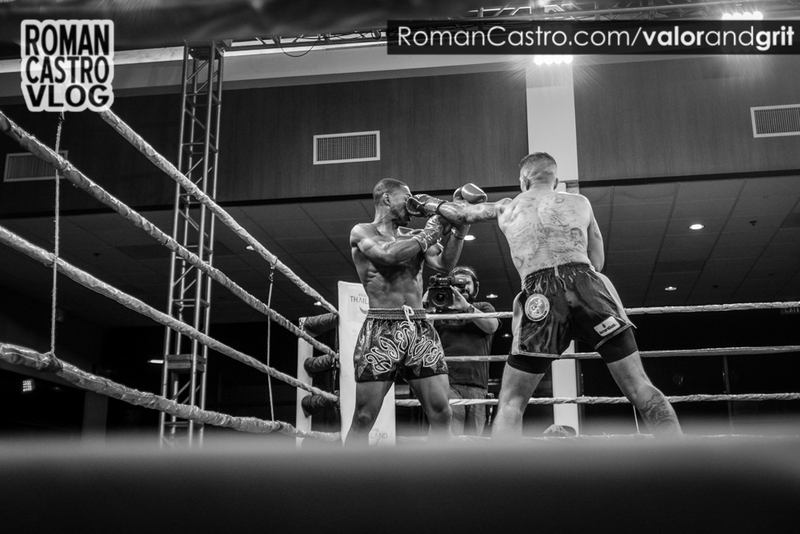 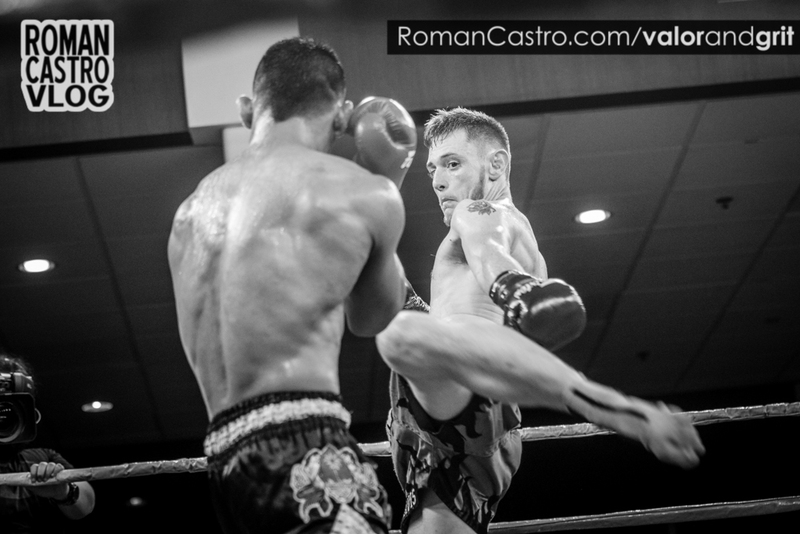 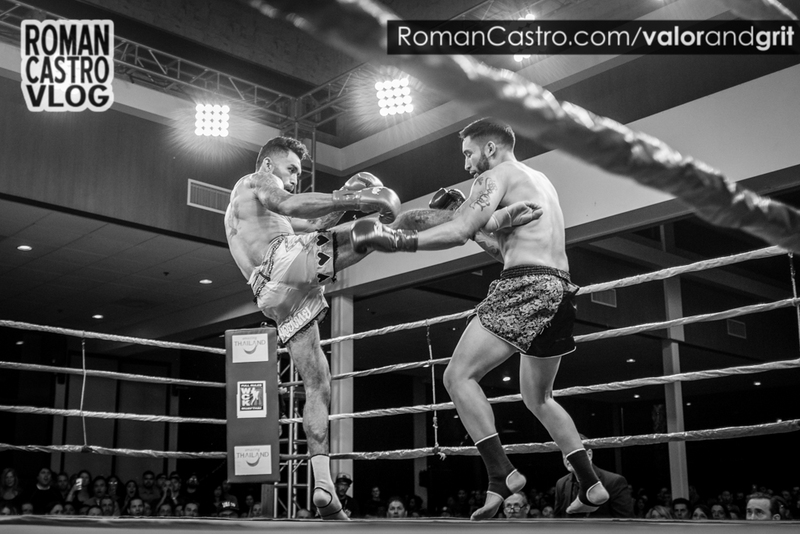 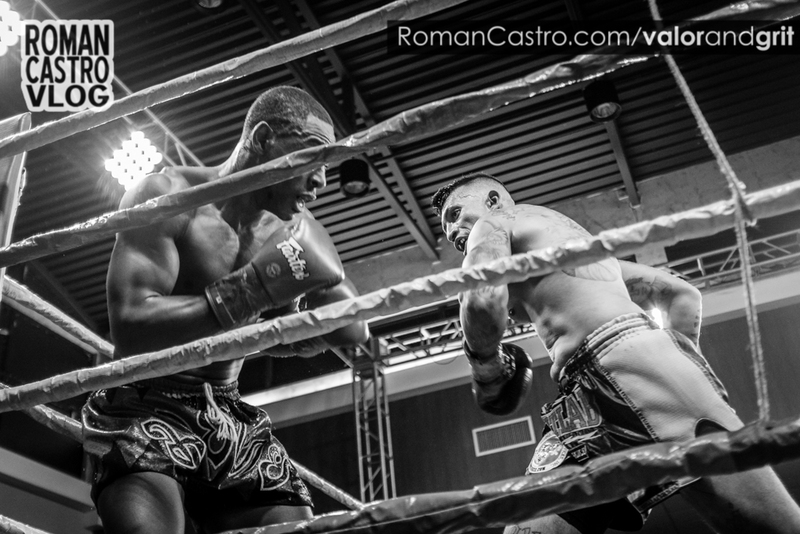 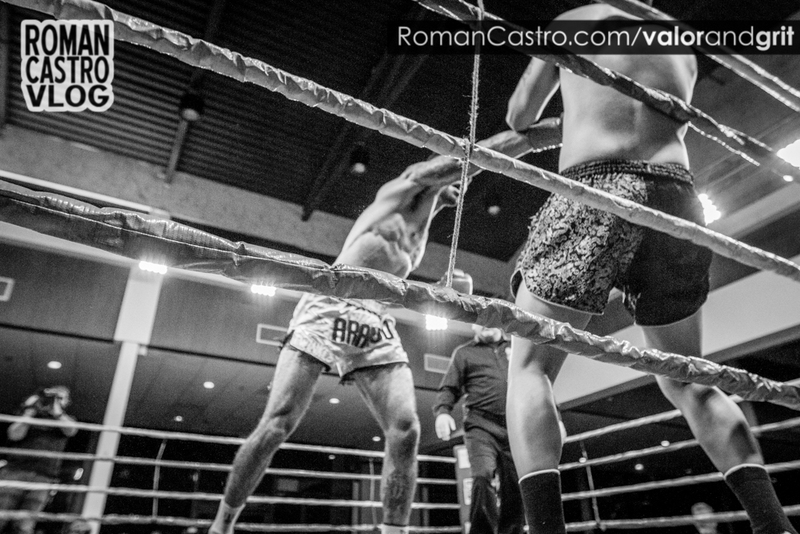 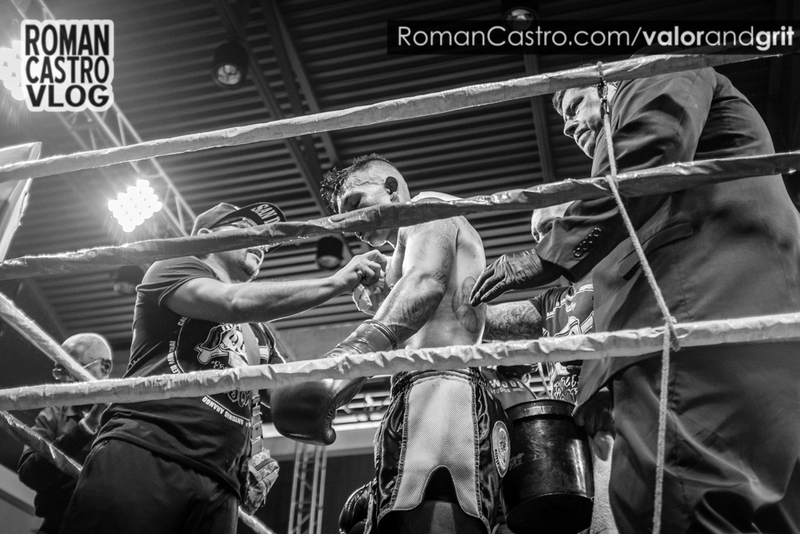 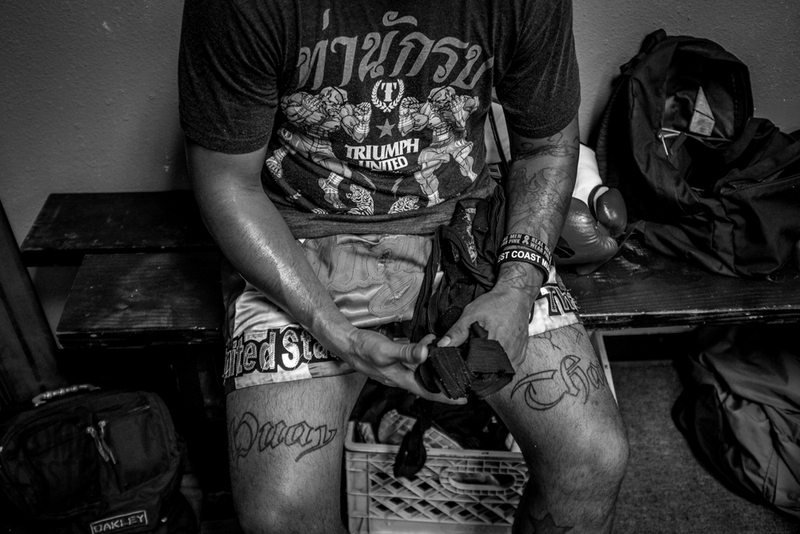 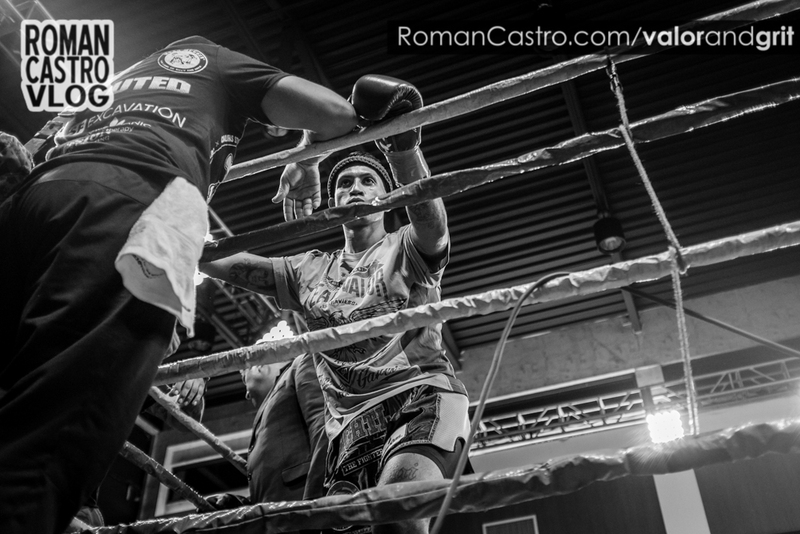 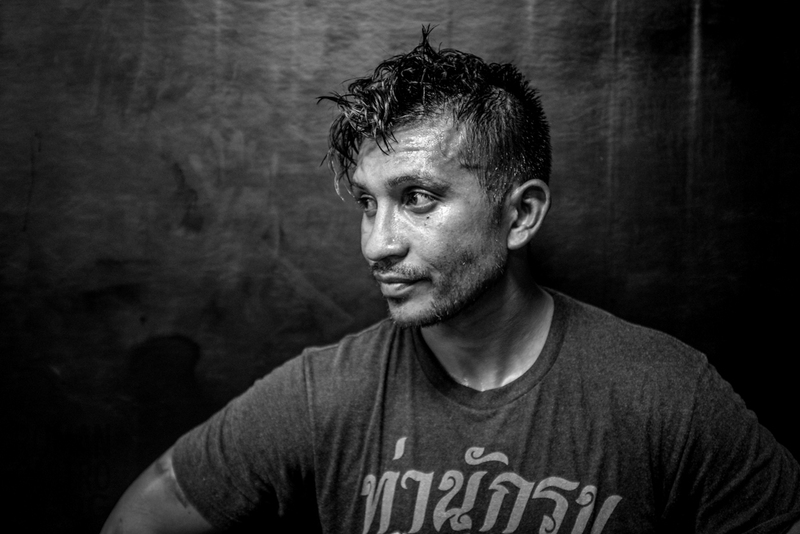 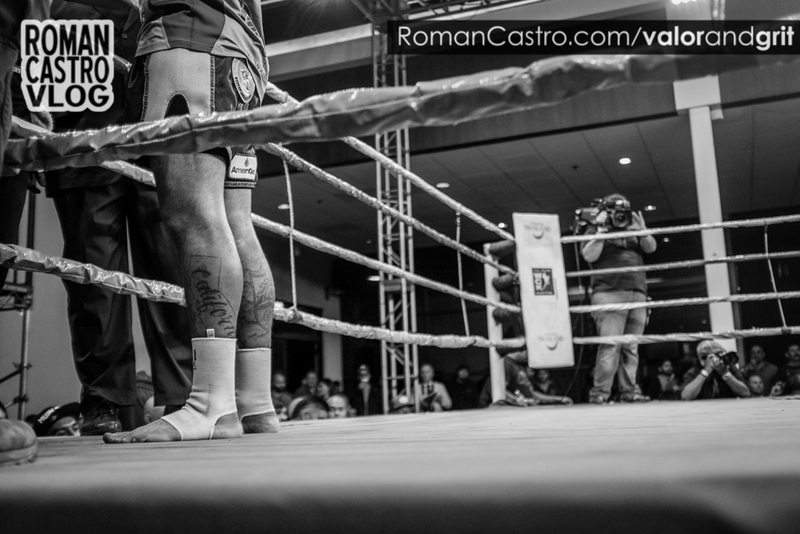 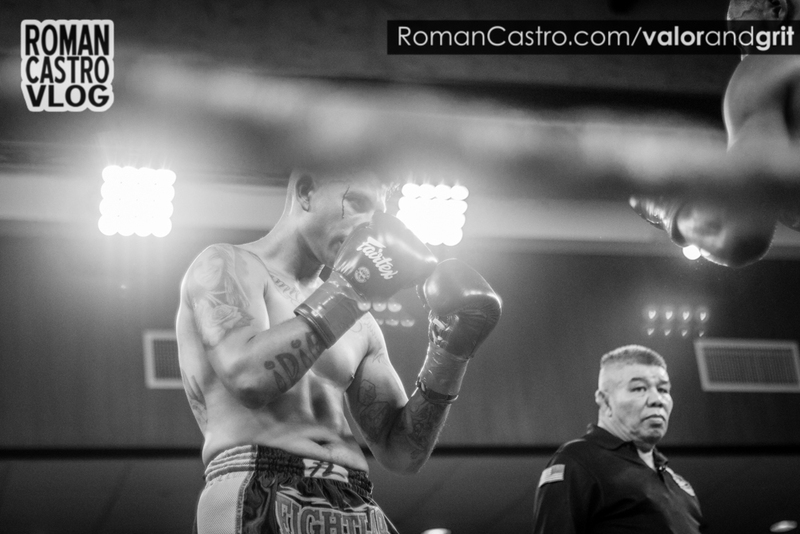 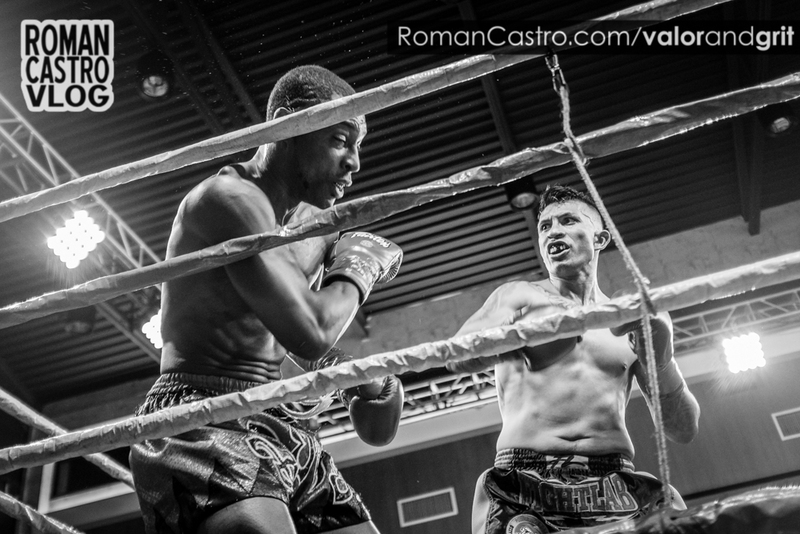 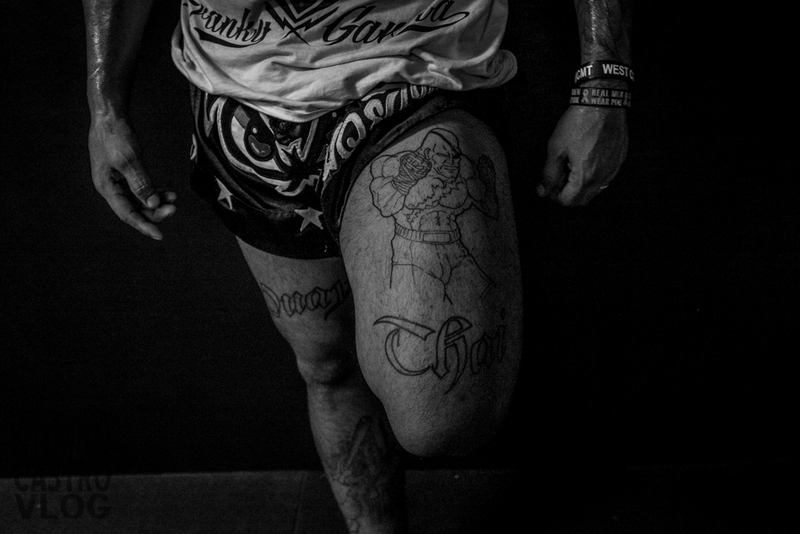 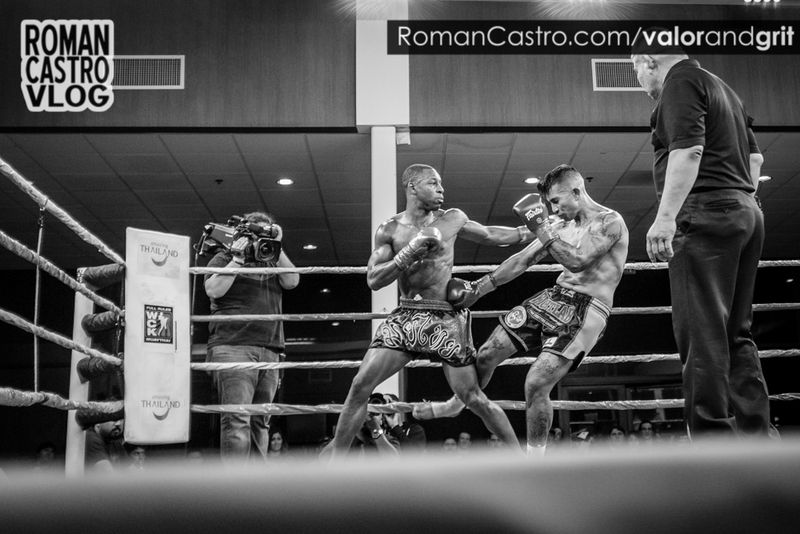 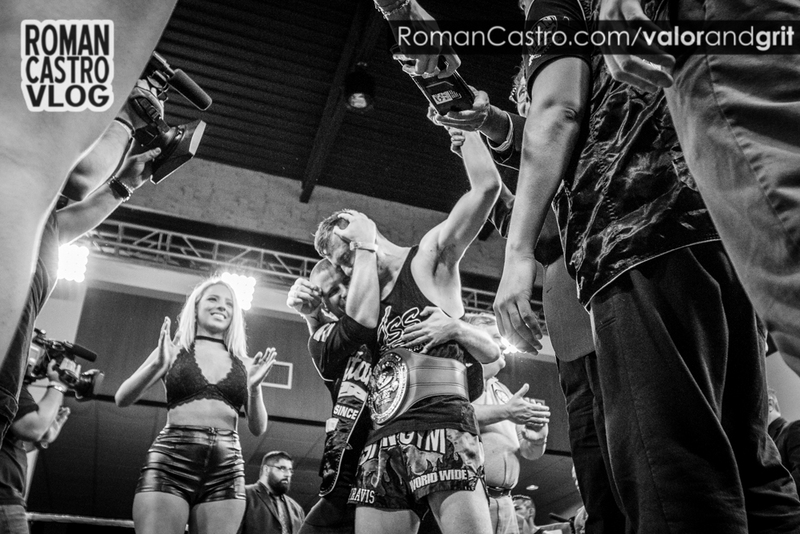 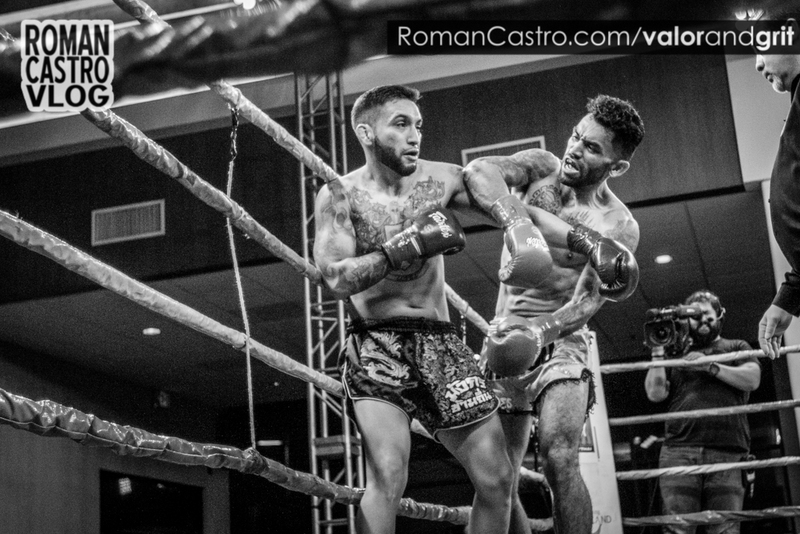 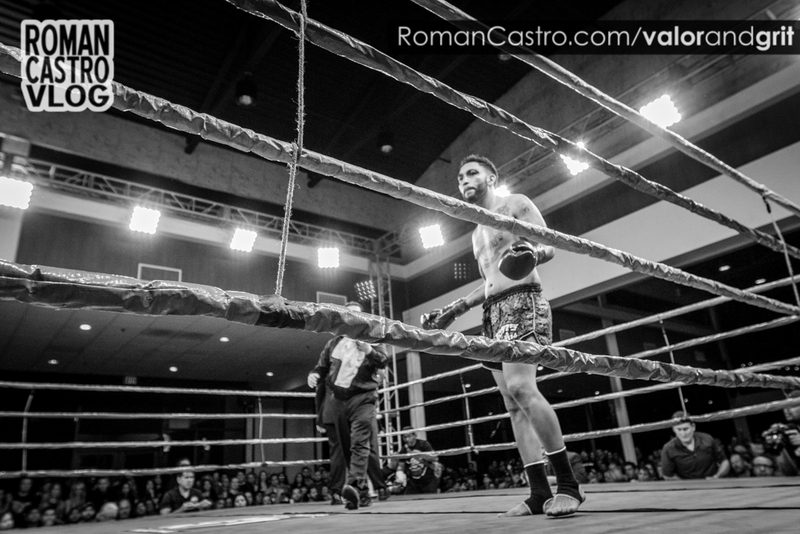 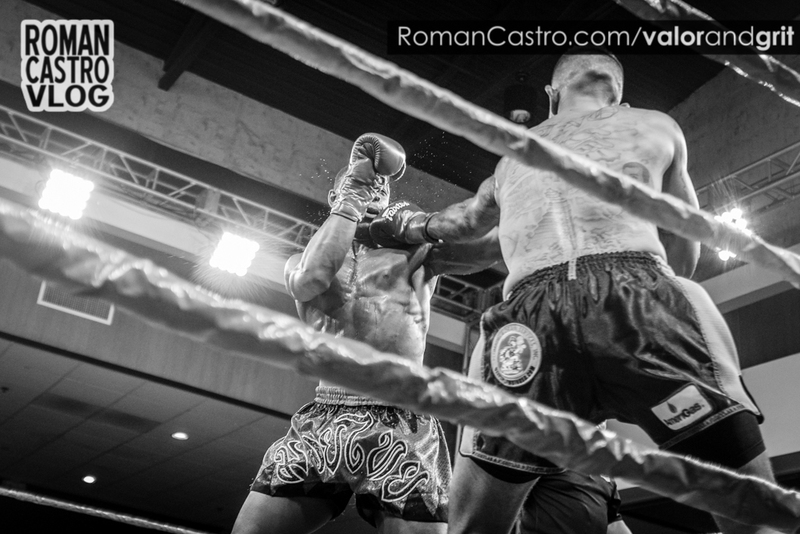 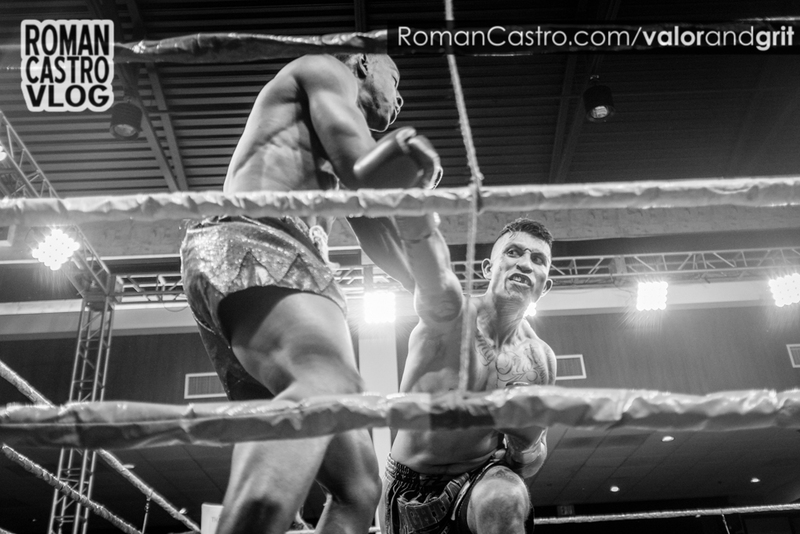 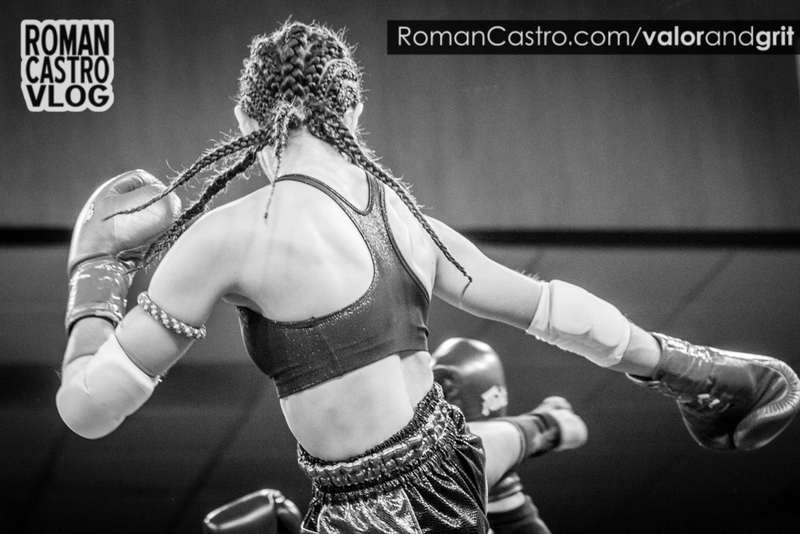 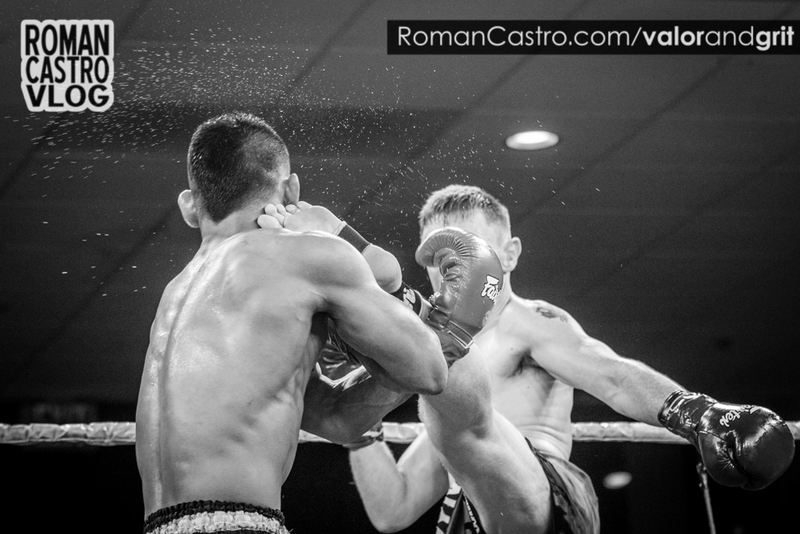 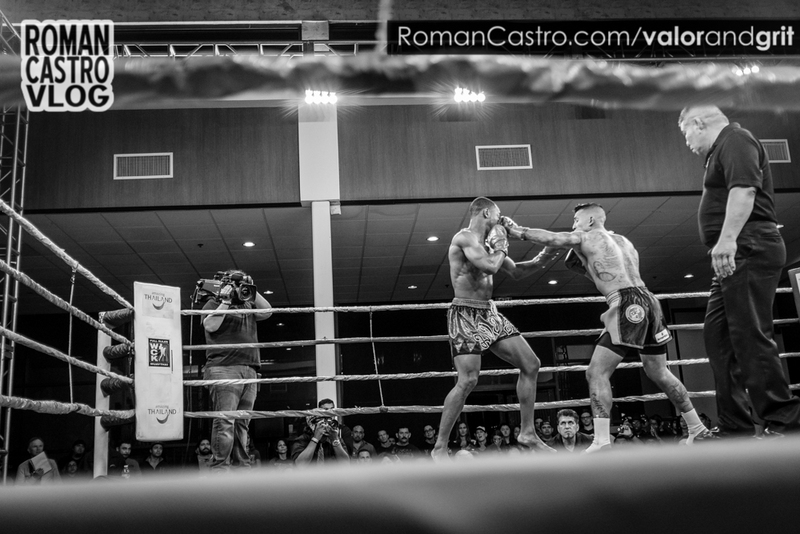 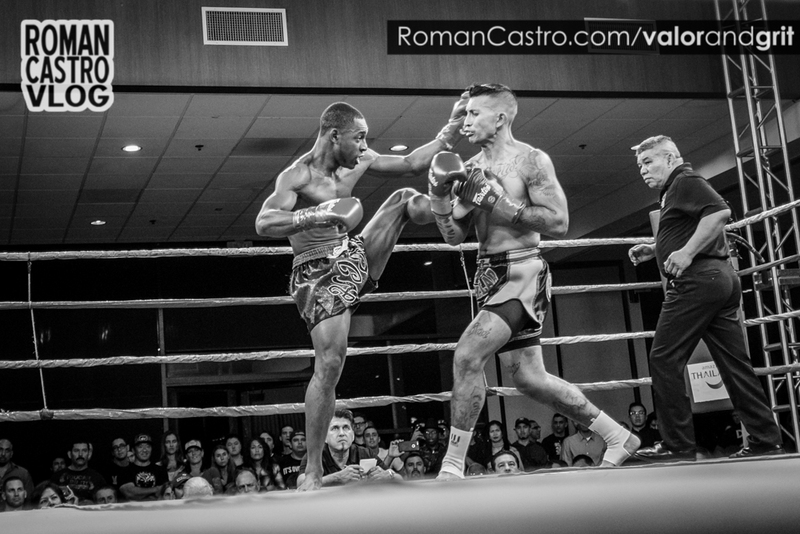 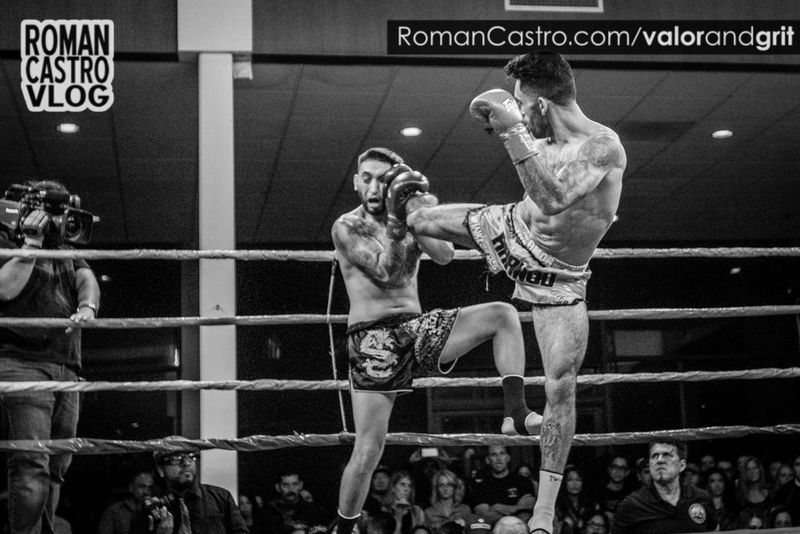 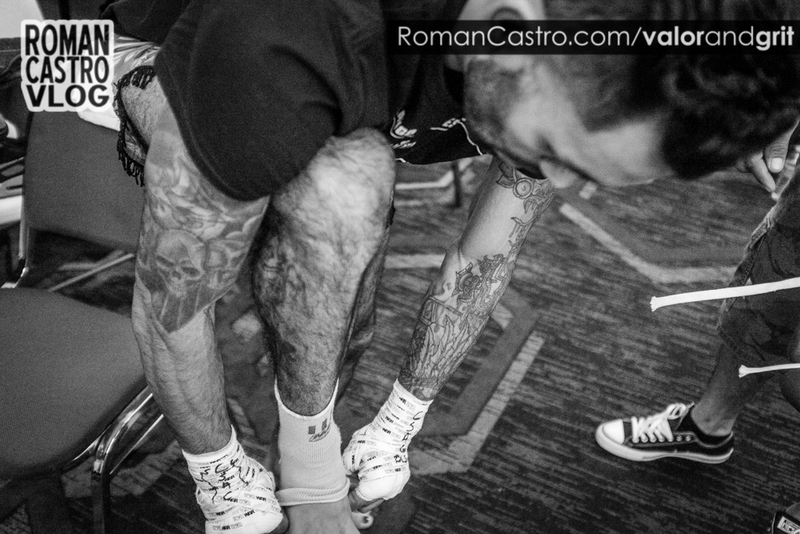 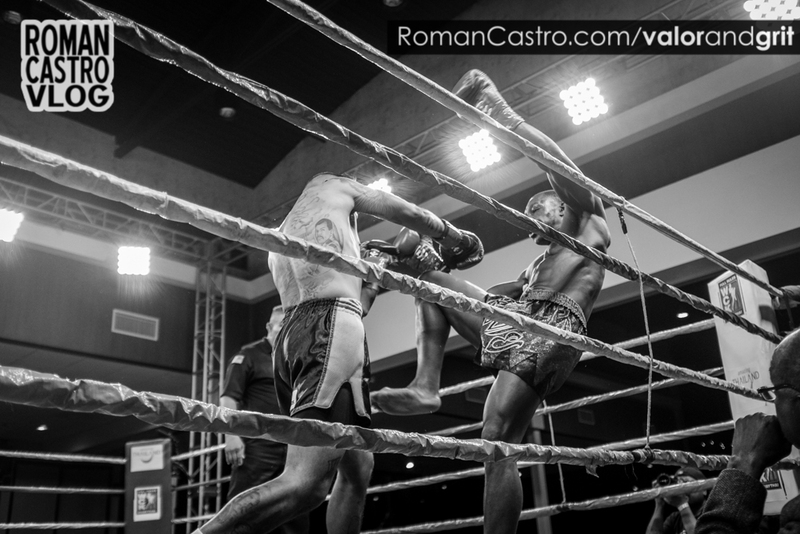 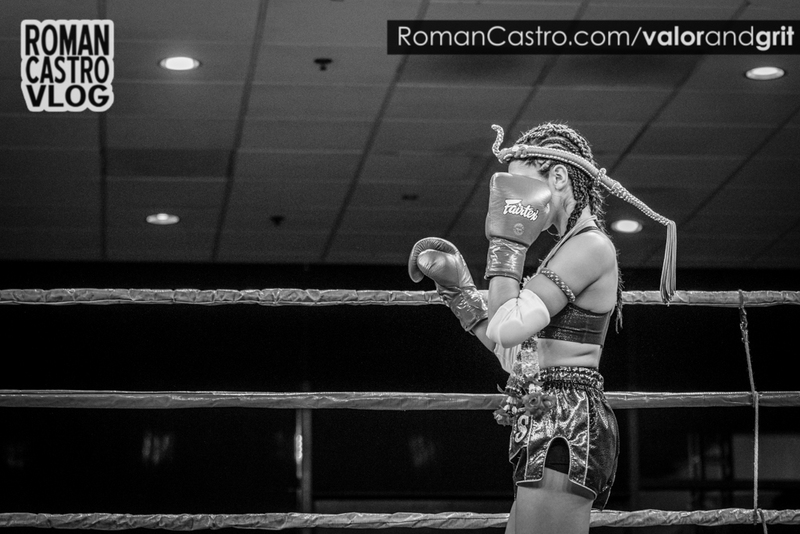 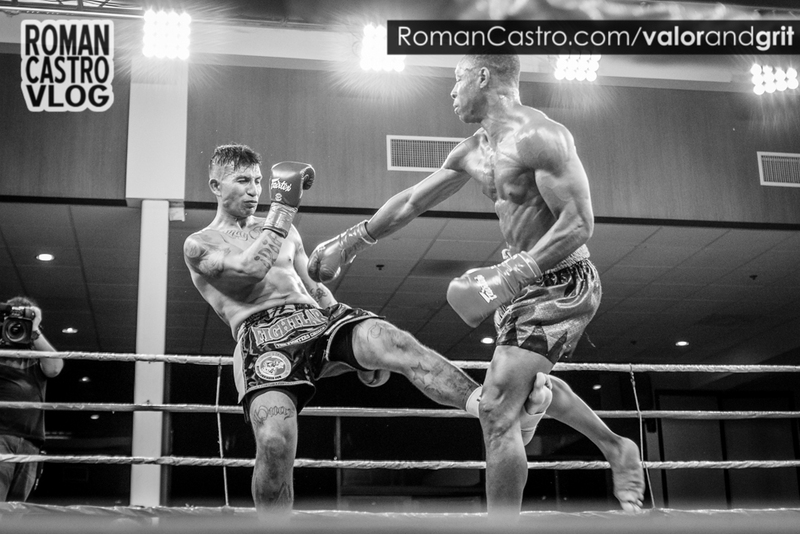 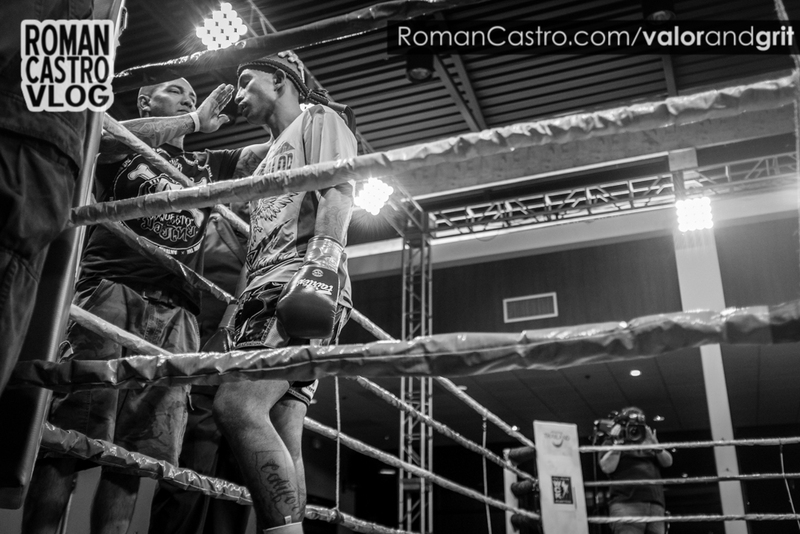 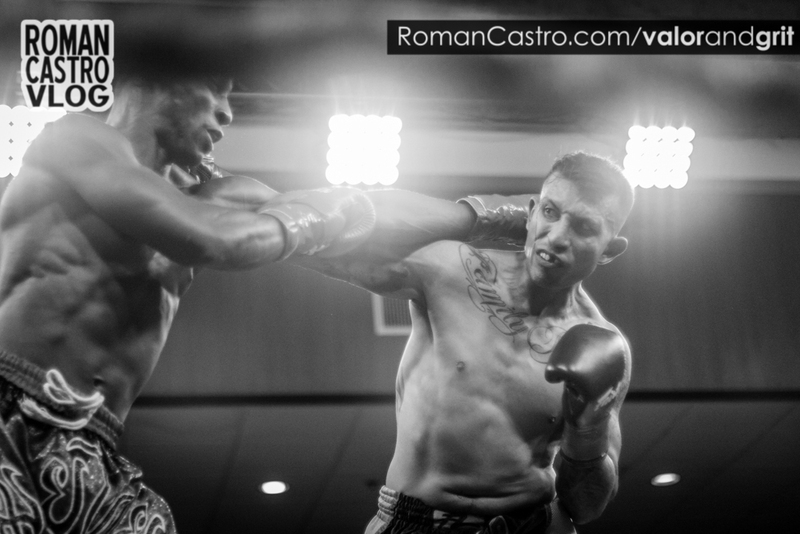 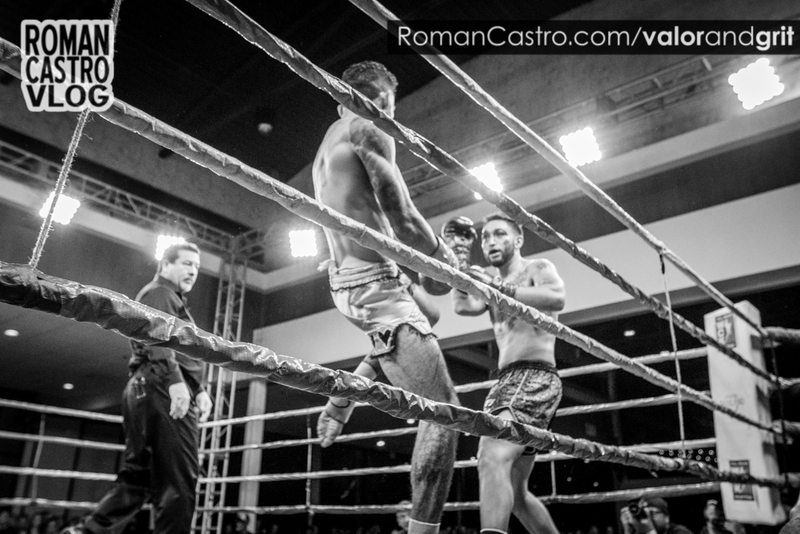 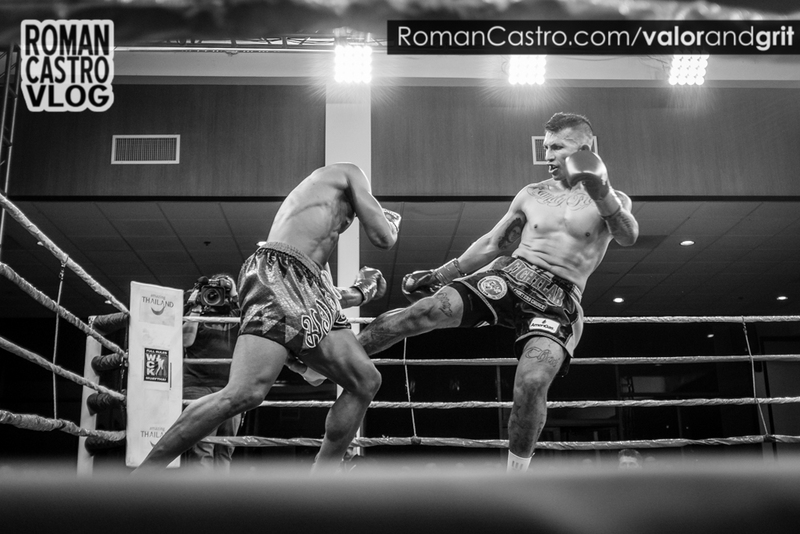 Thanks to Franky, Jon from Valor Muai Thai Acadamy and WCK Muay Thai, I was allowed to photograph these amazing men and women who dedicate themselves to the art of 8 limbs. 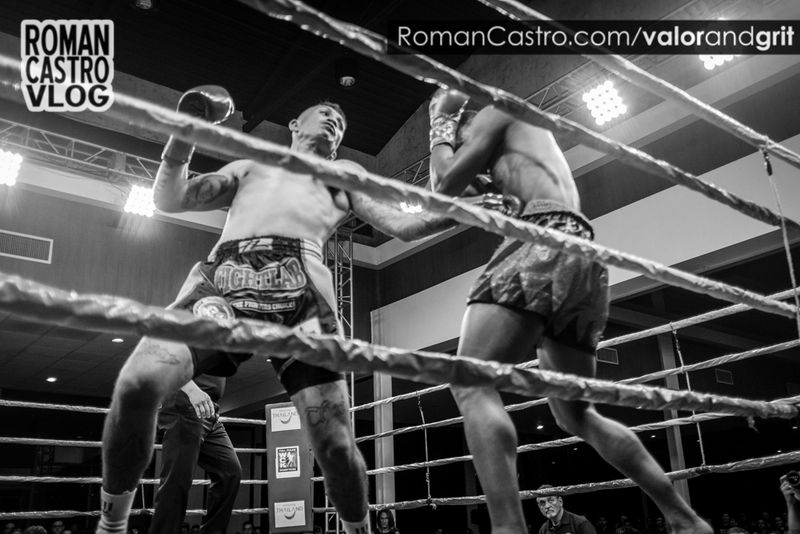 I brought my trusty Fujifilm x100t and Canon 70D with a few lenses. 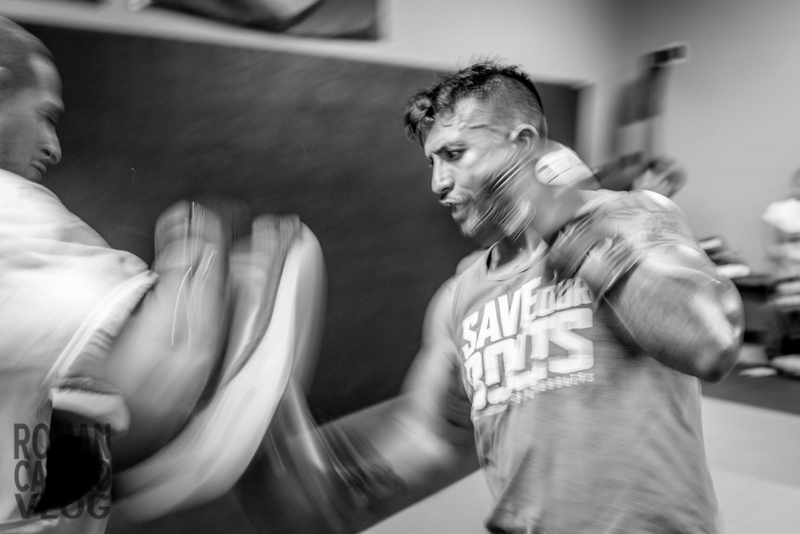 I wasn’t allowed to shoot video and it came as a blessing in disguise because I was able to focus on making good photos. 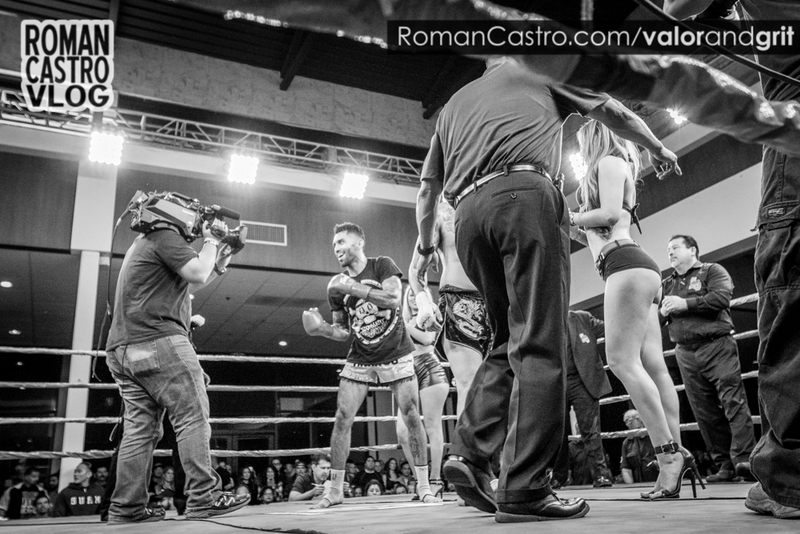 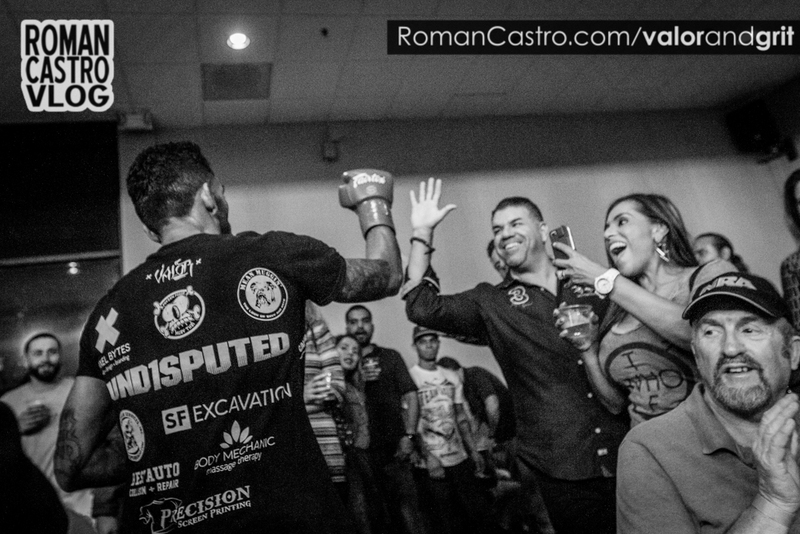 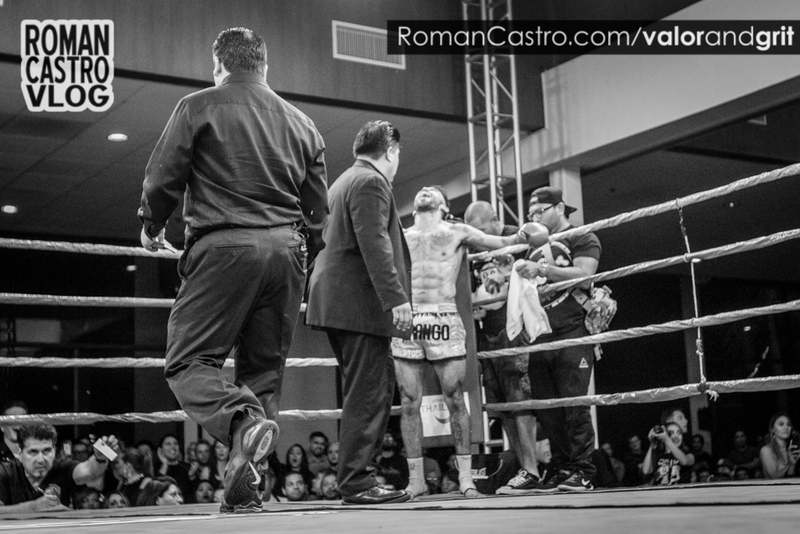 Before we get into it I want to thank the Richard over at WCK and all the amazing fighters. 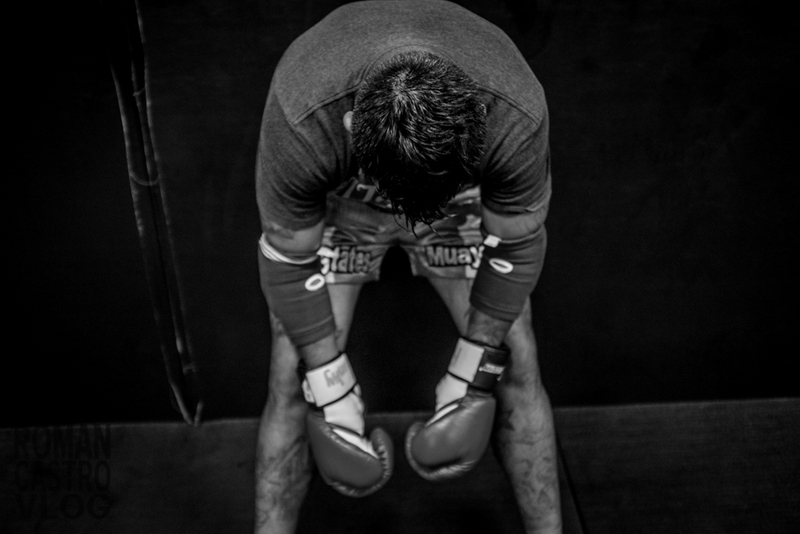 Everyone fought their heart out. 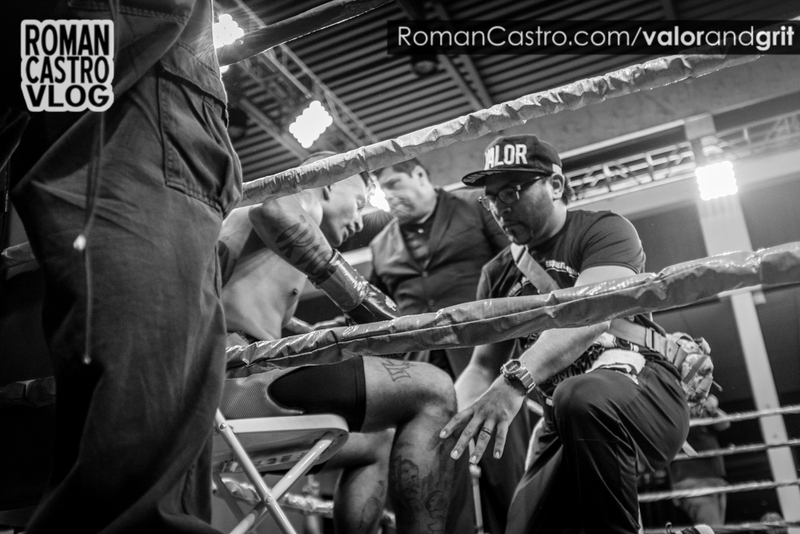 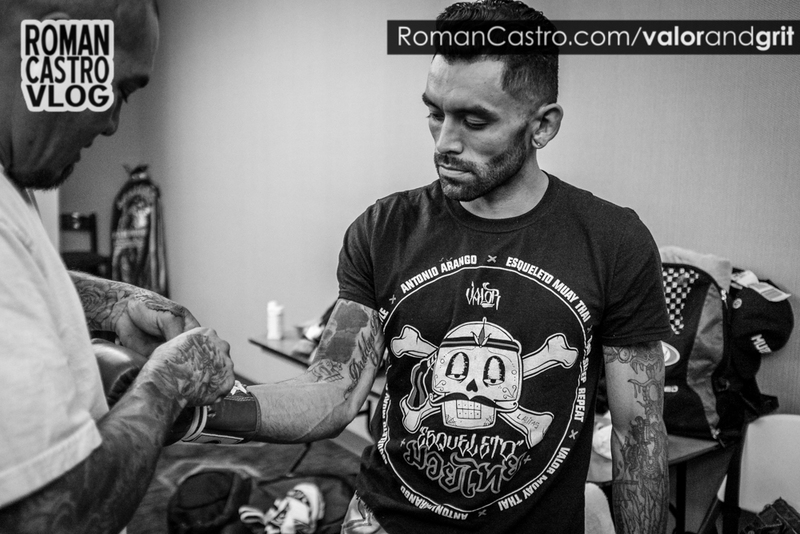 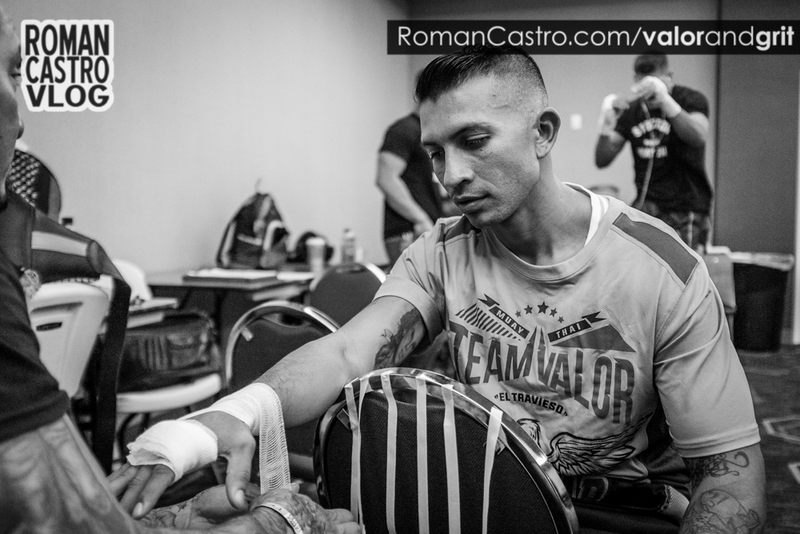 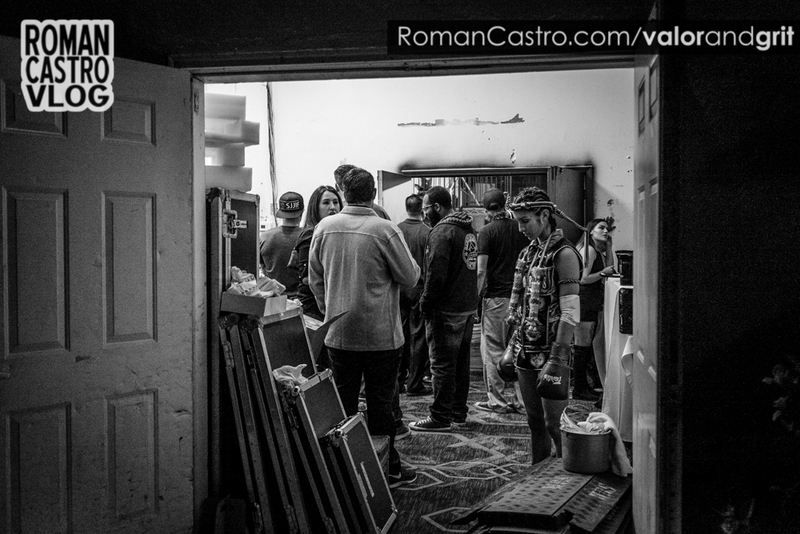 Here is the second installment of the “VALOR & GRIT” Photo Essay behind the scenes. 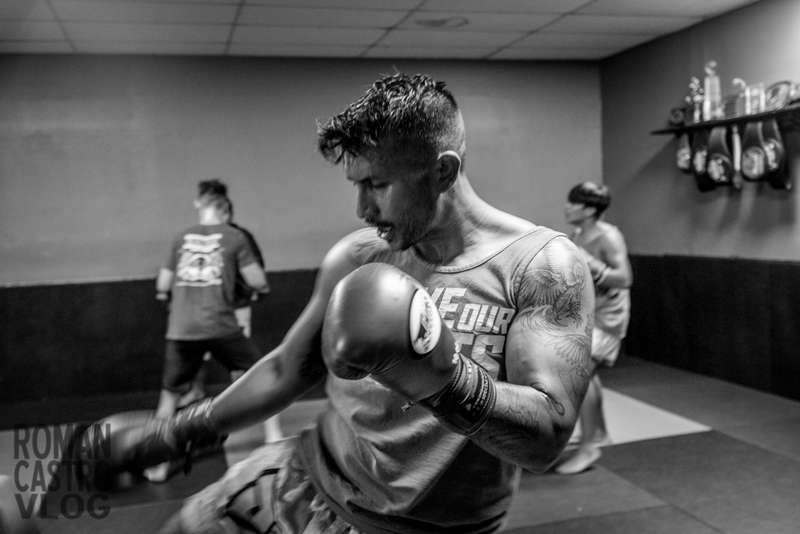 I’m shooting with a GoPro Session 5 on mounted on my Fujifilm x100t to get the first person Point of View (POV) of the session and the context around making some of the photos. 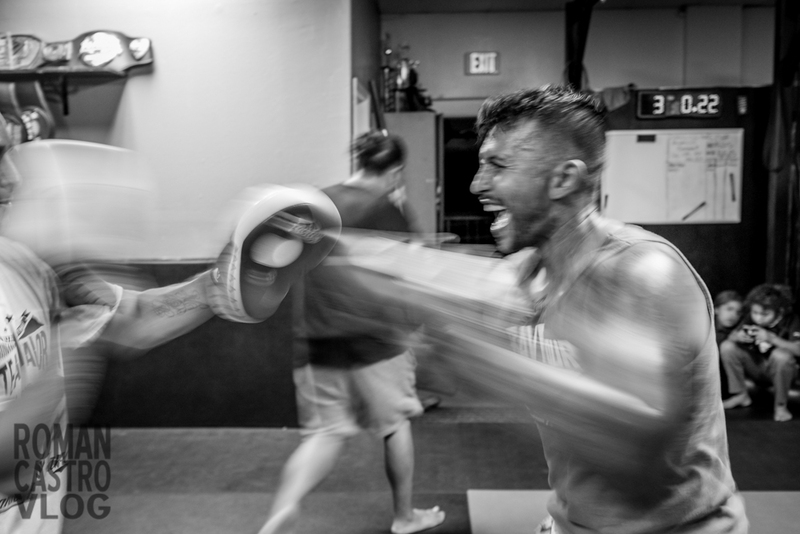 Check out the video up there and the photos from session two below. 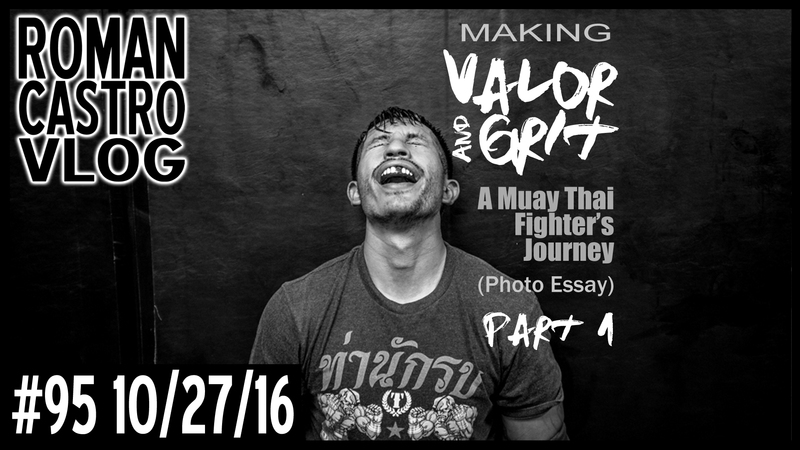 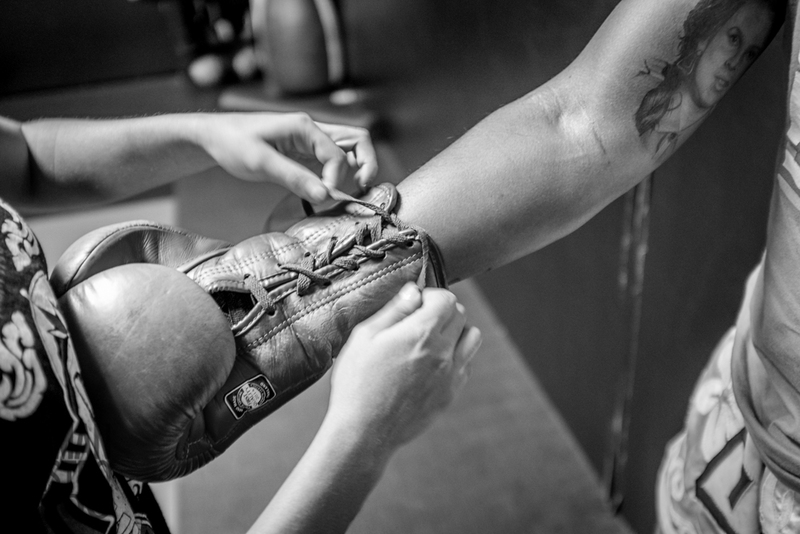 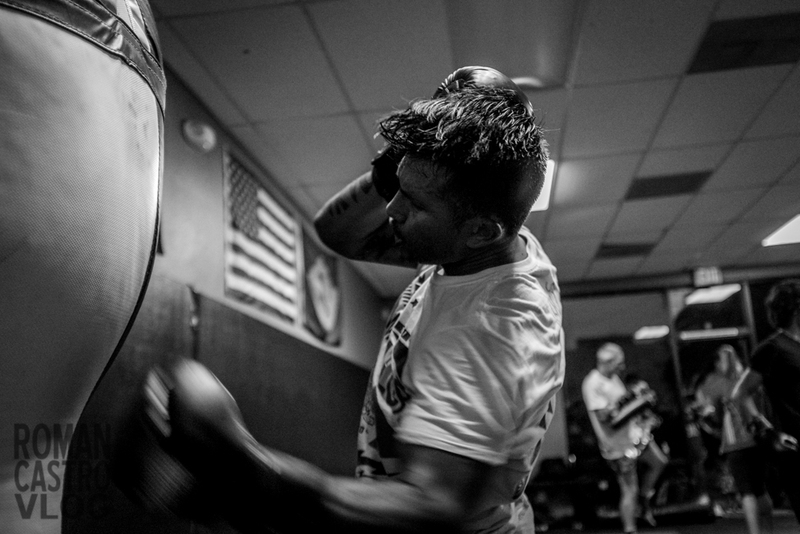 See other Valor & Grit Photo Essay Sessions. 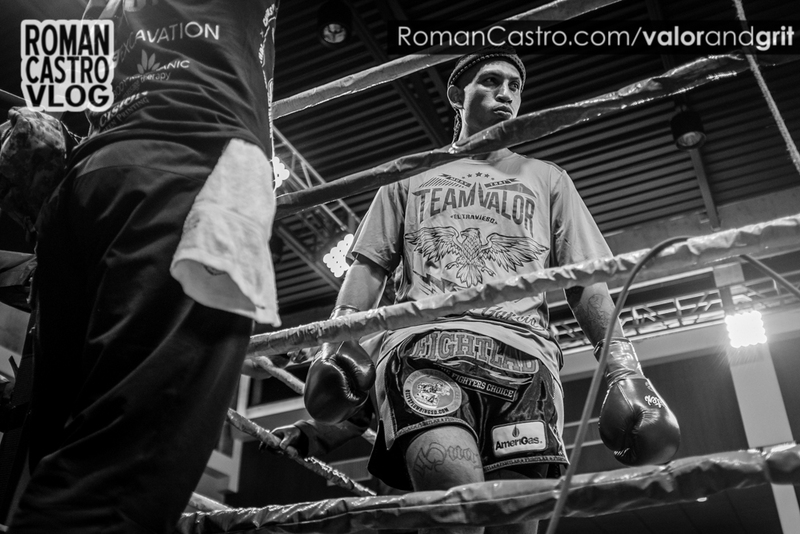 See other Valor & Grit Photo Essay Sessions. 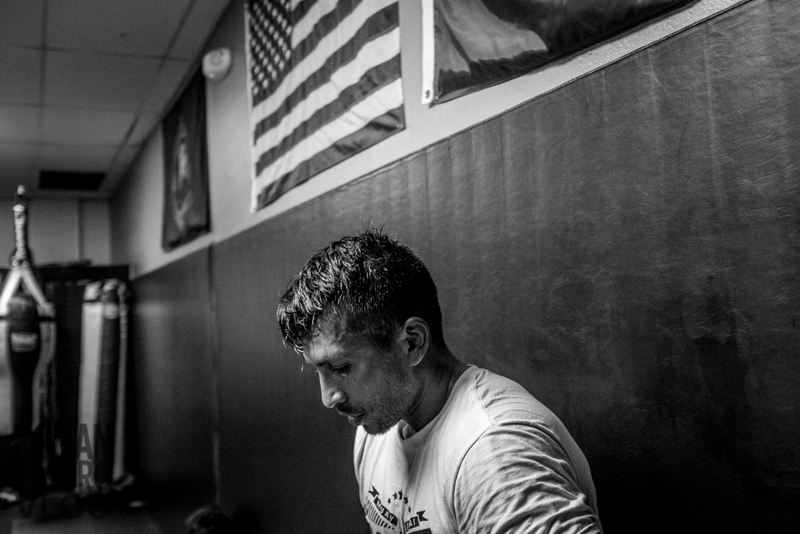 I made it to another training session to make more photos for the “VALOR & GRIT” Photo Essay I’m working on. 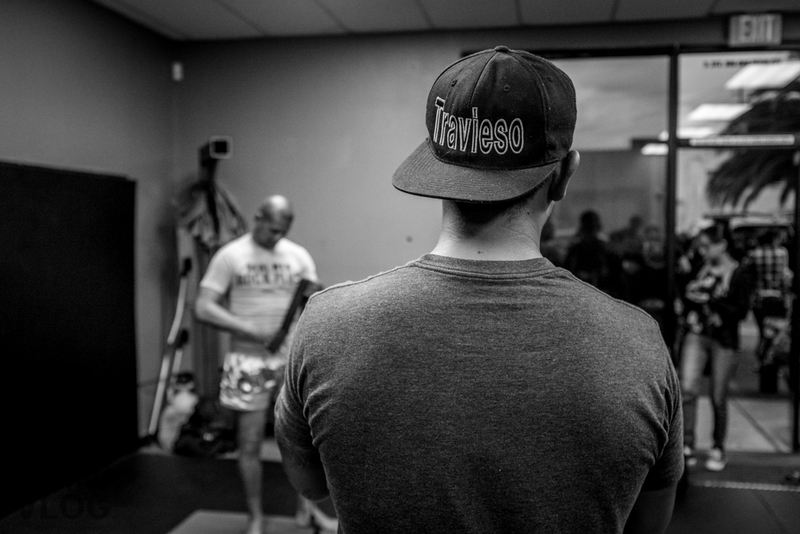 I mounted a GoPro Session 5 on my Fujifilm x100t to get the first person Point of View (POV) of the session and the context around making some of the photos. 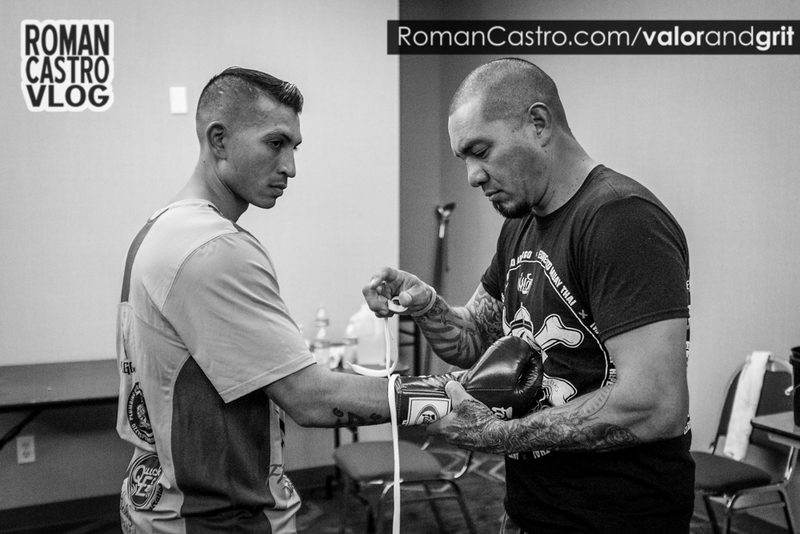 I met Francisco Garcia in 2010. 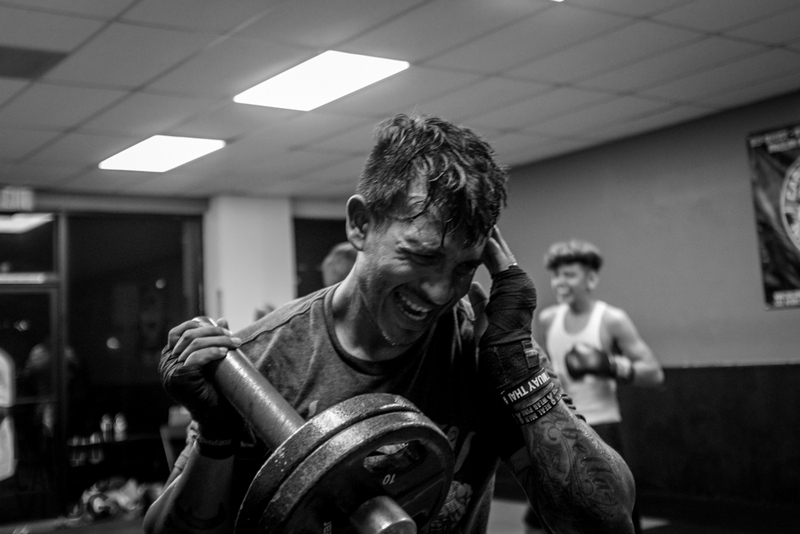 I joined the same gym he was training at and he was already a beast. 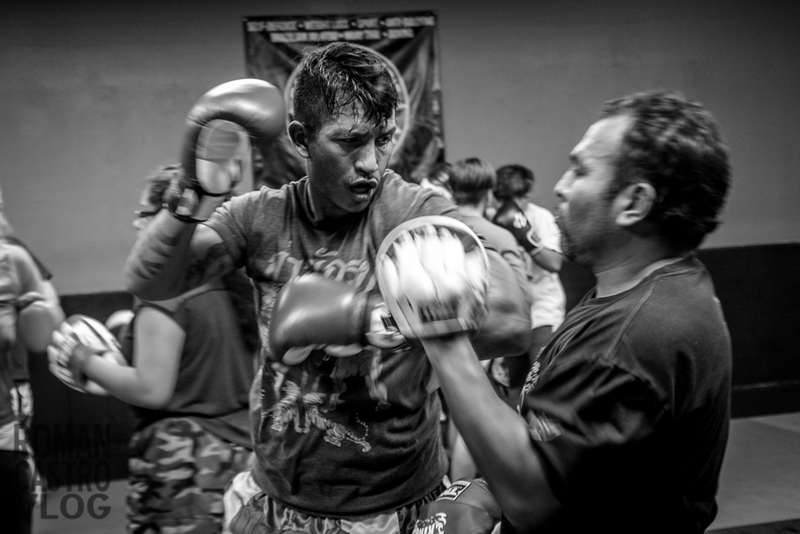 My Muay Thai stint lasted less than 3 months but since then I’ve stayed in touch with “El Travieso”. 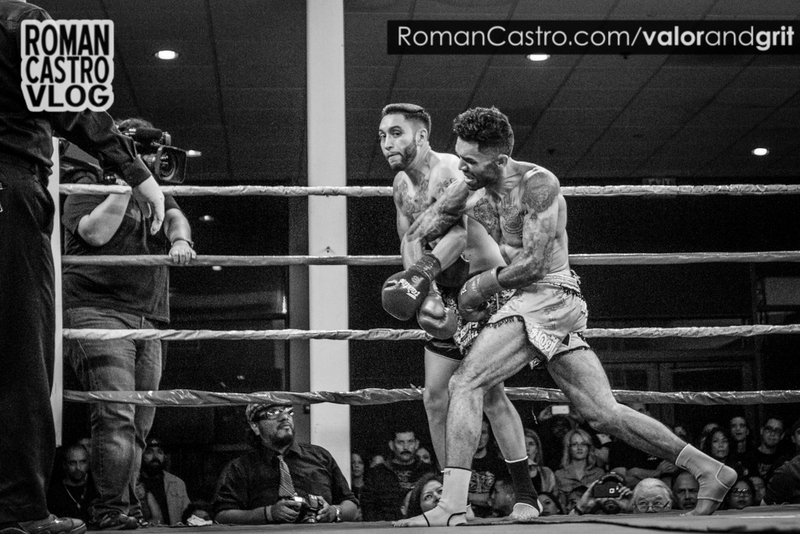 Over the years I’ve watched him go up the amateur ranks. 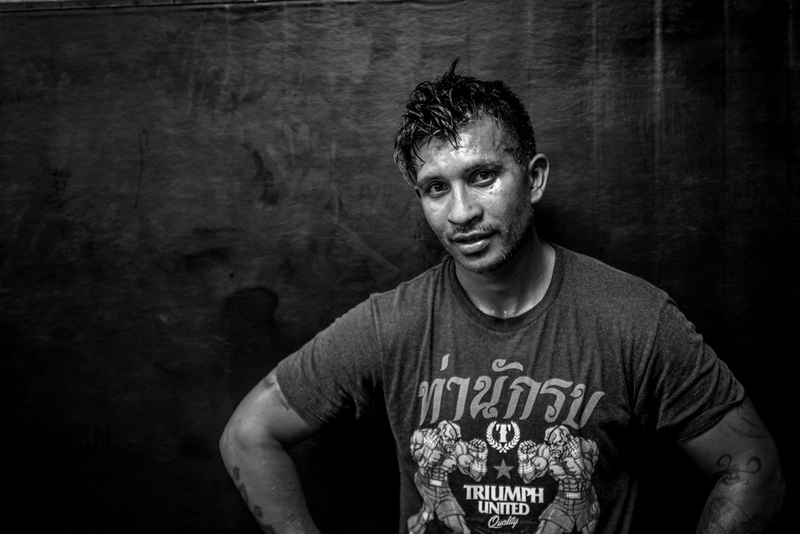 One day I was watching Glory (Televised Muay Thai bouts) and there he was. 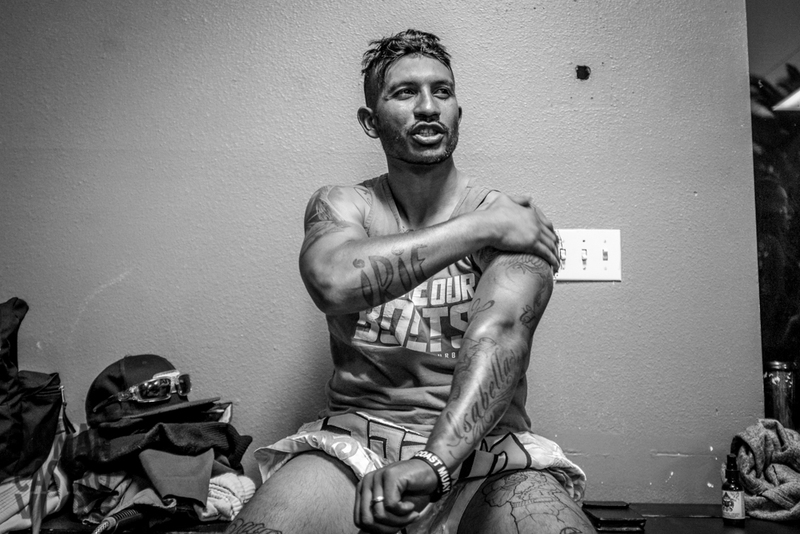 Representing San Diego. 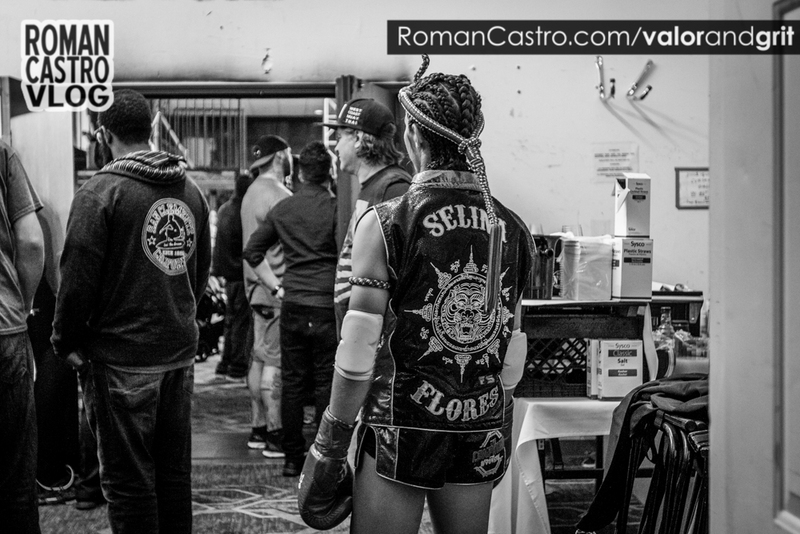 Walking into the ring like a tiger. 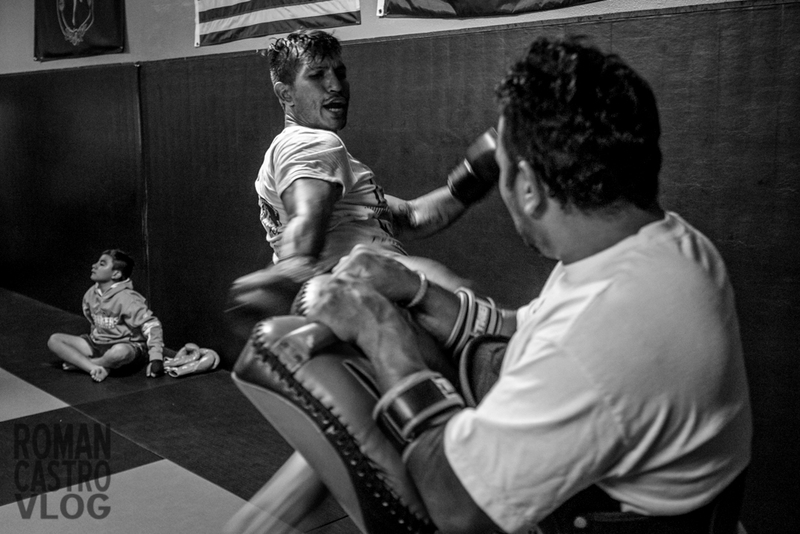 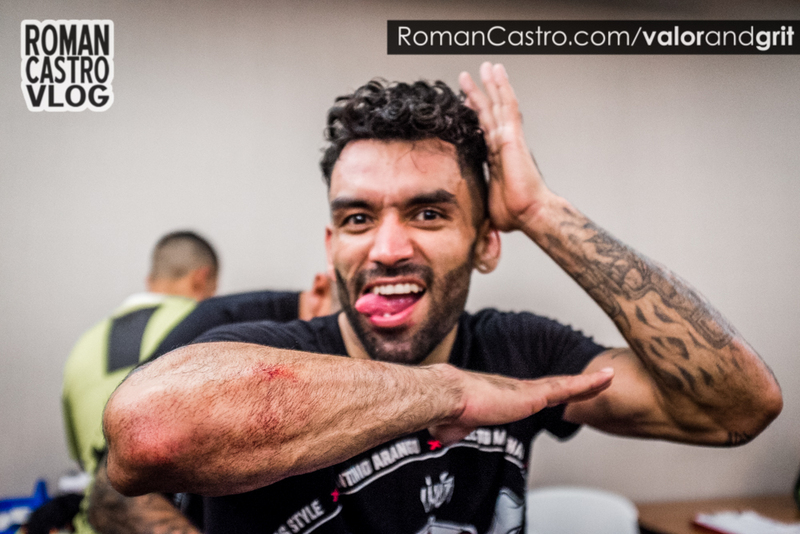 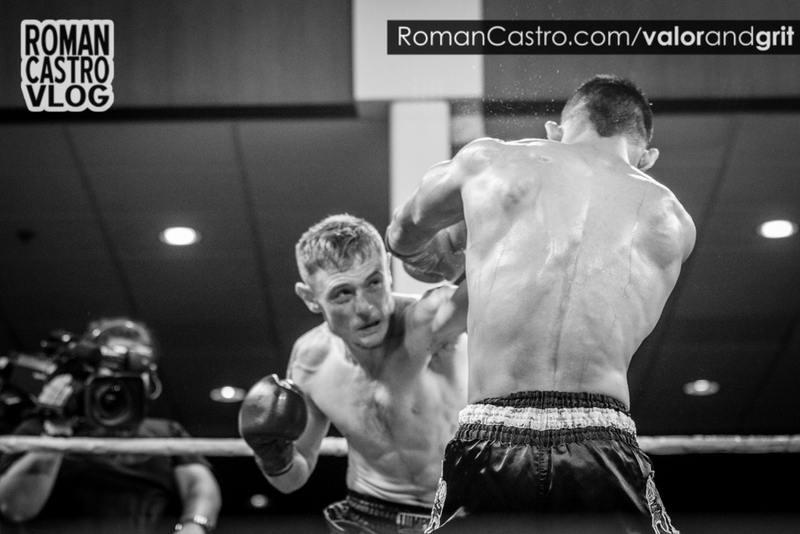 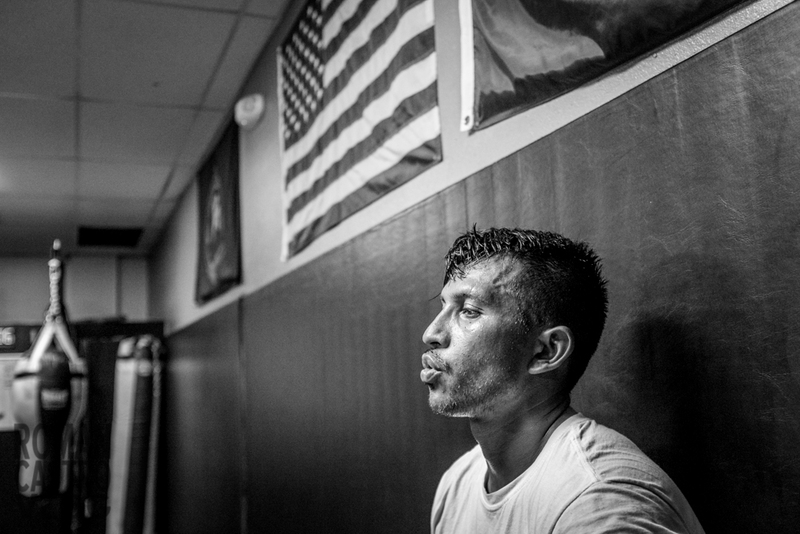 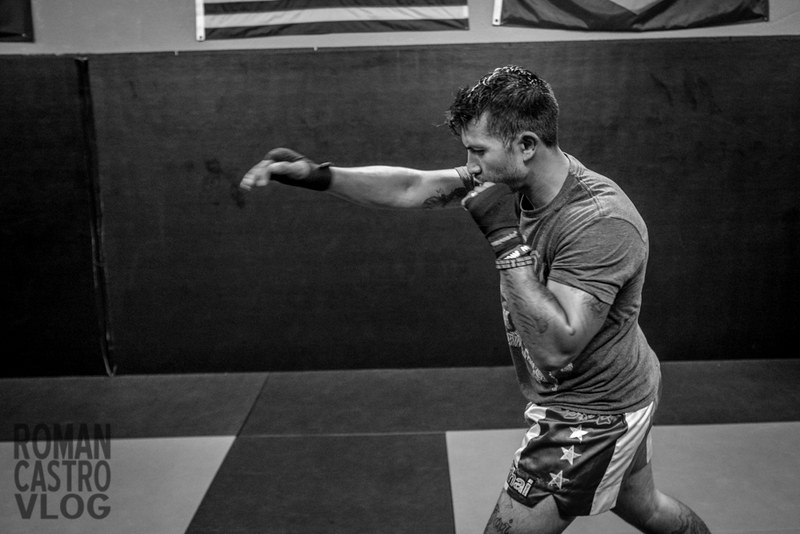 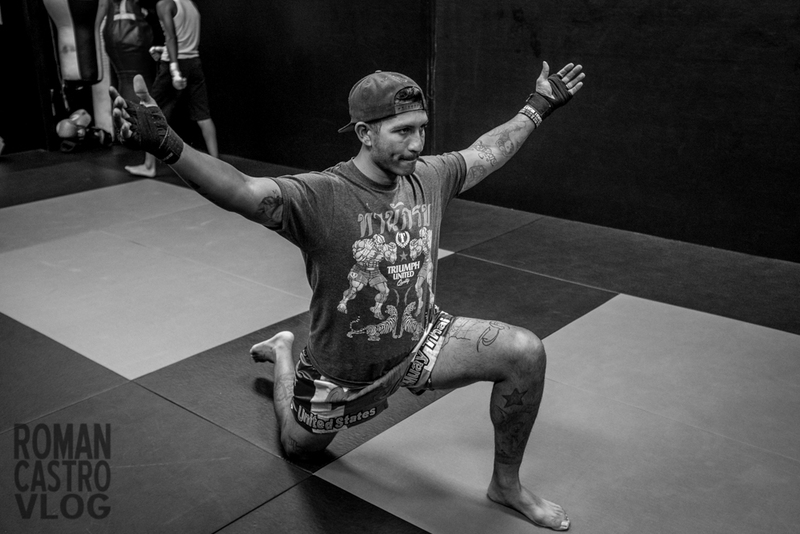 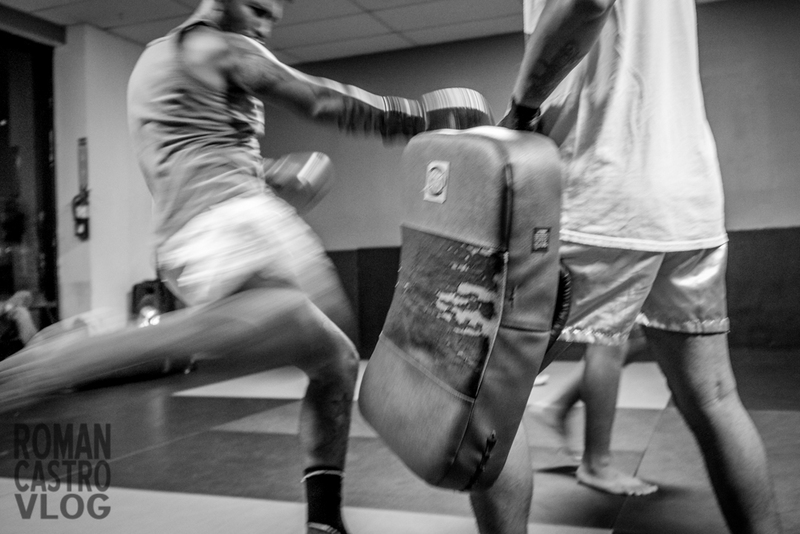 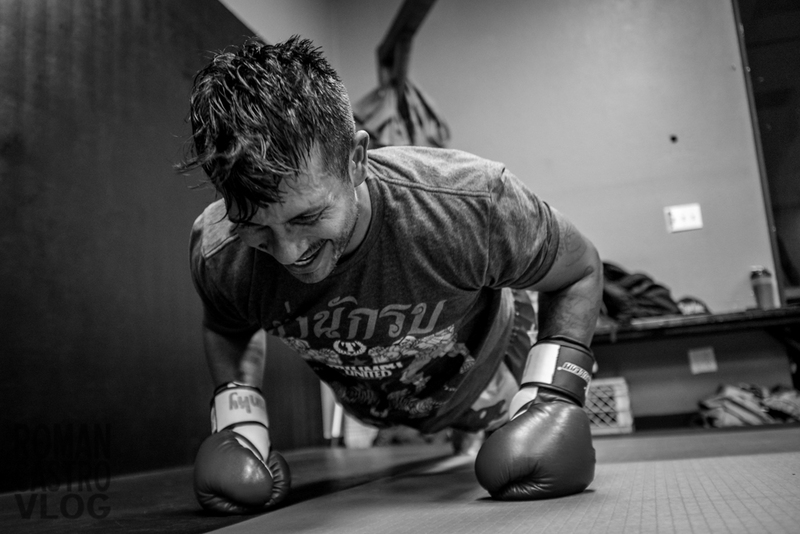 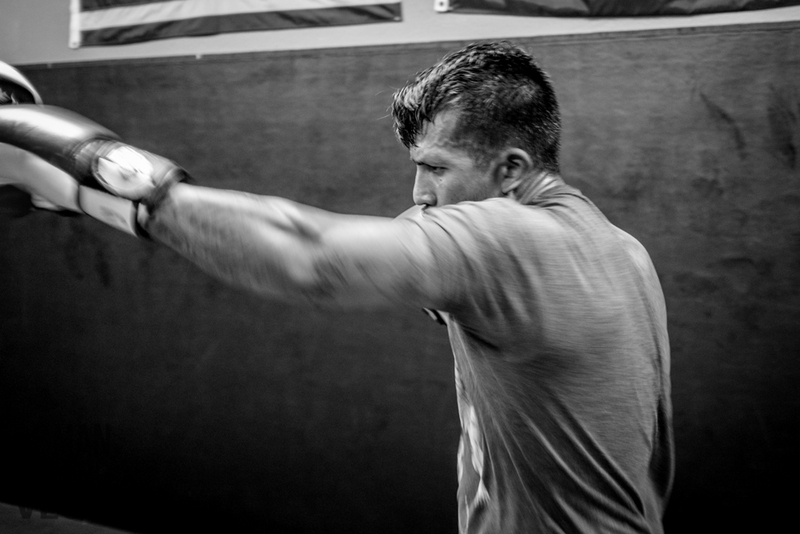 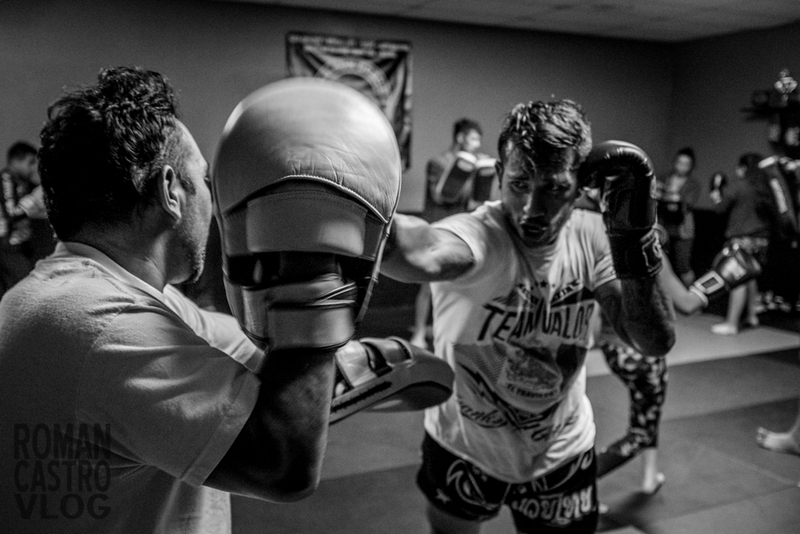 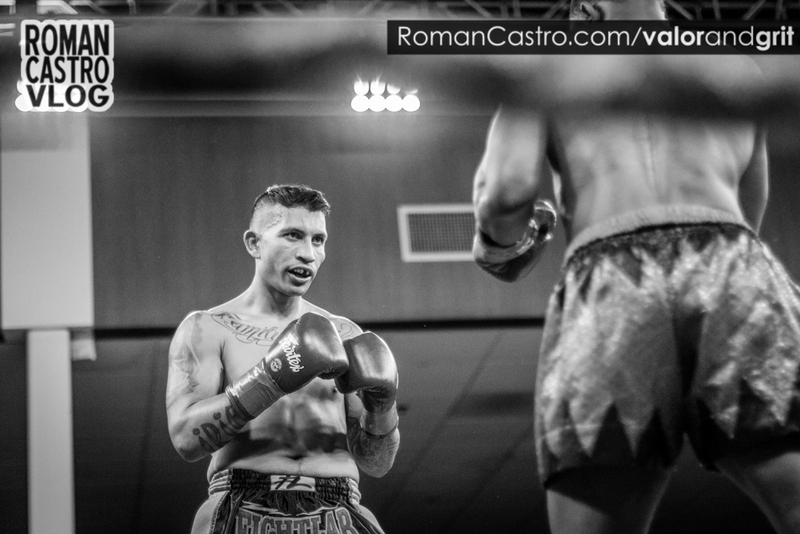 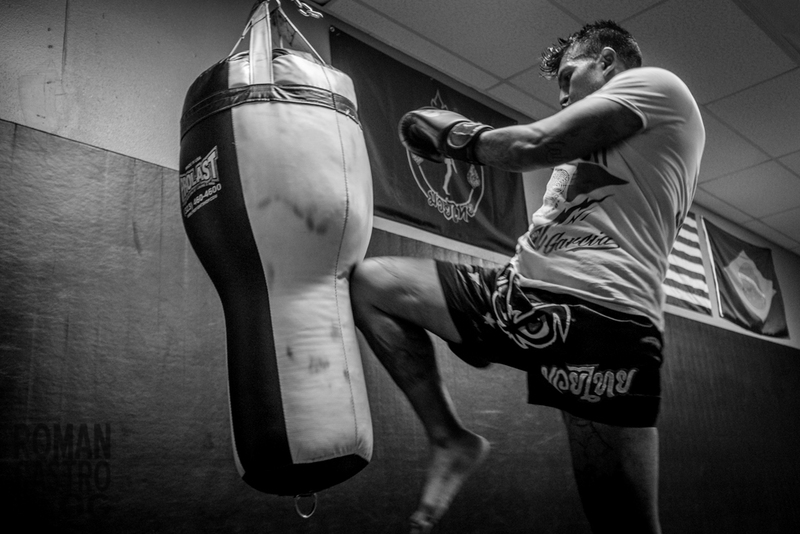 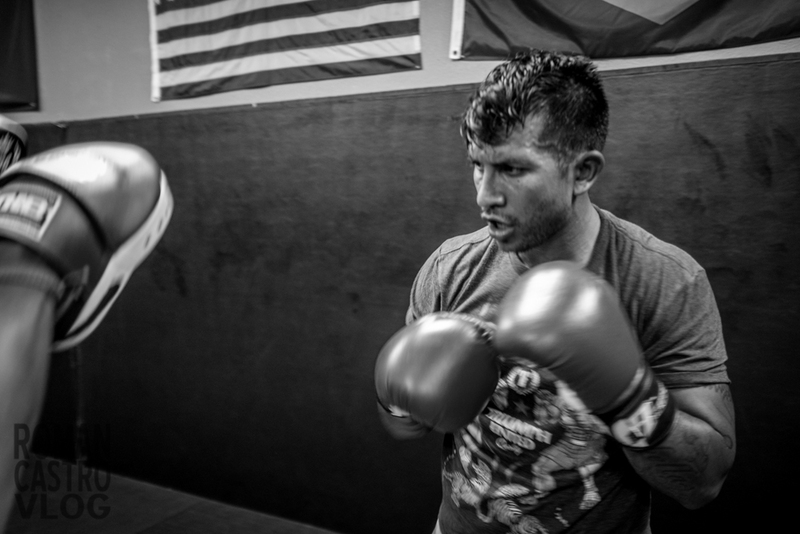 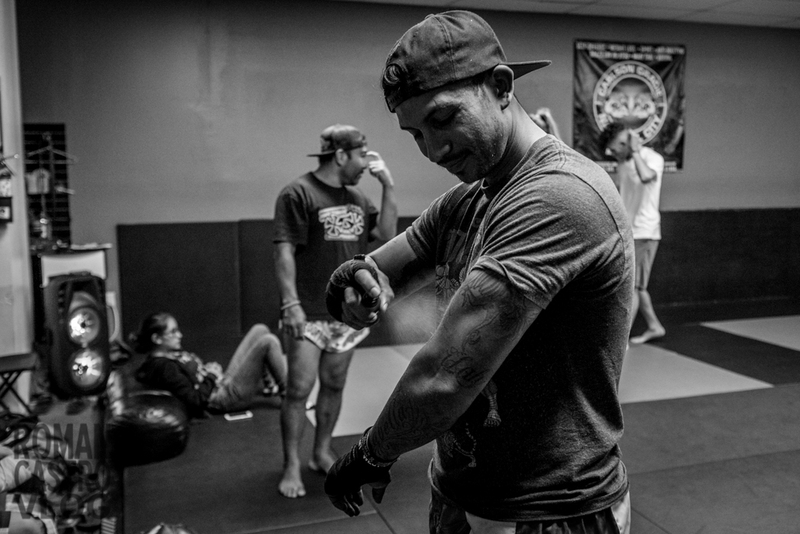 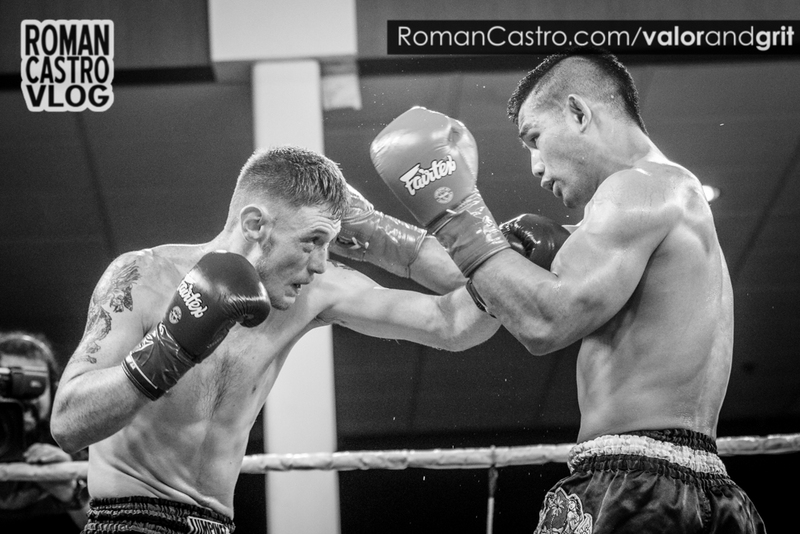 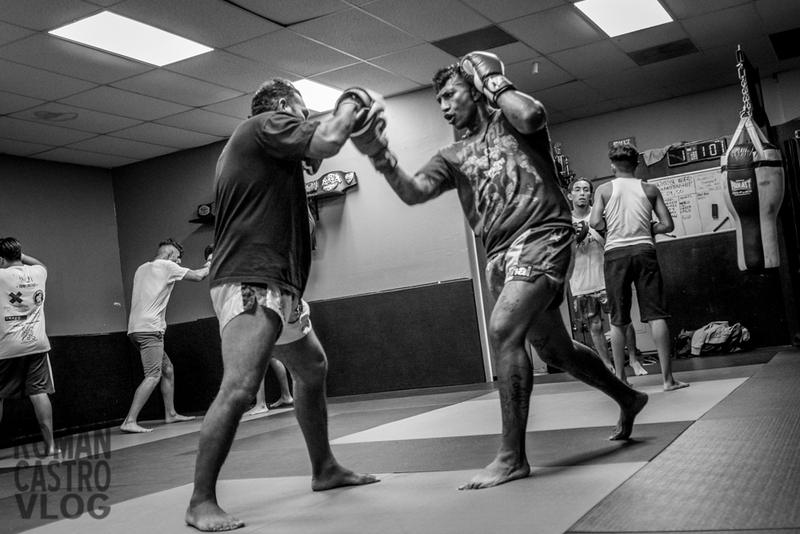 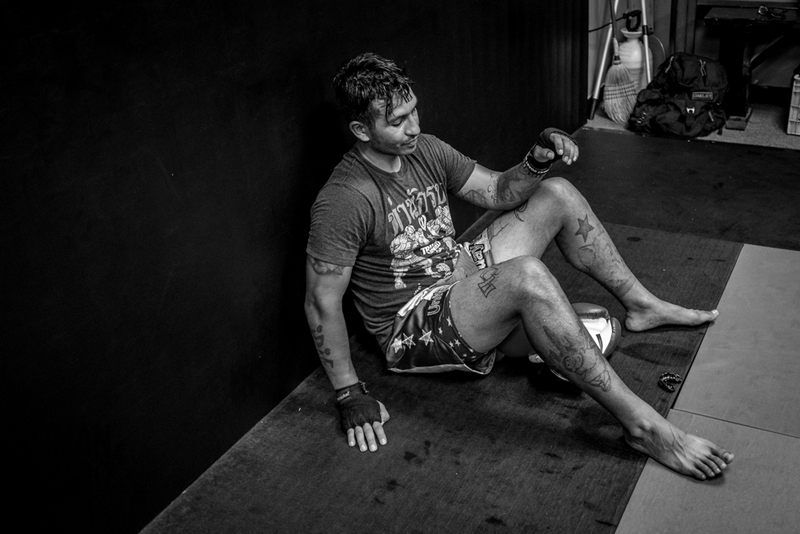 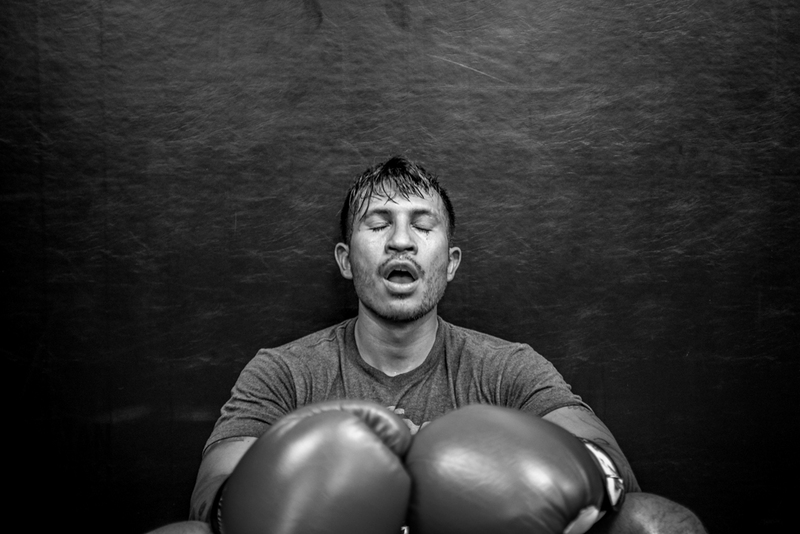 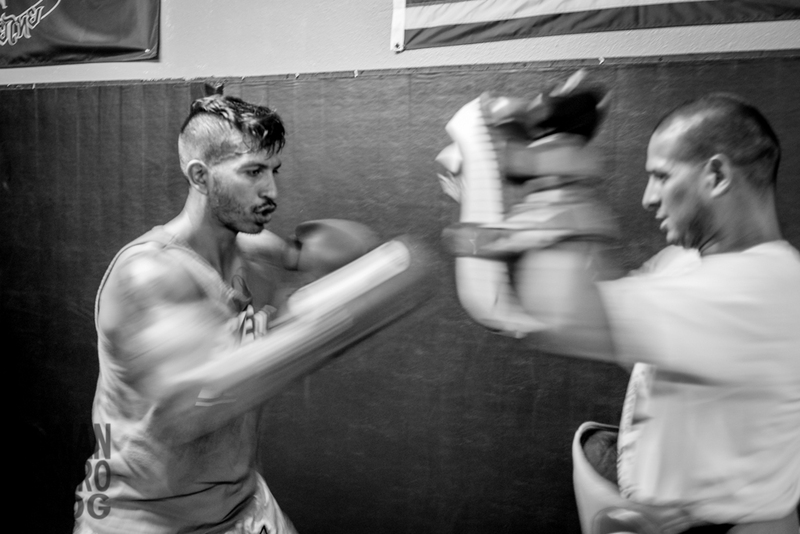 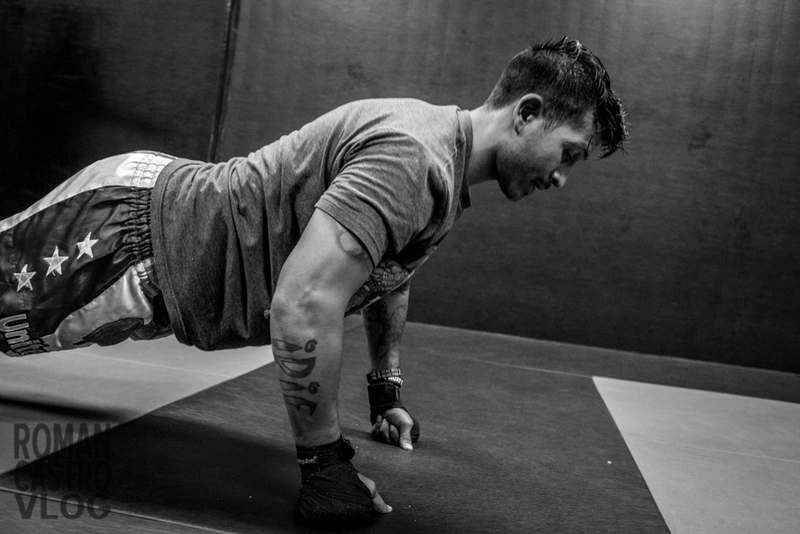 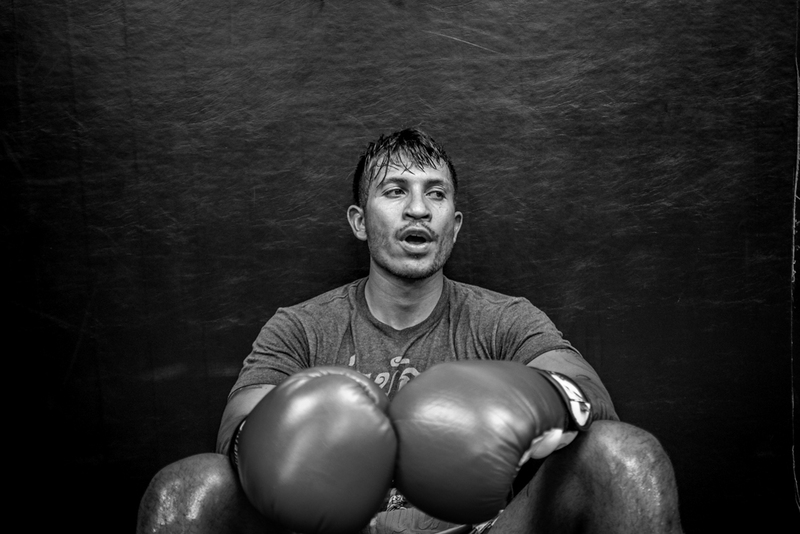 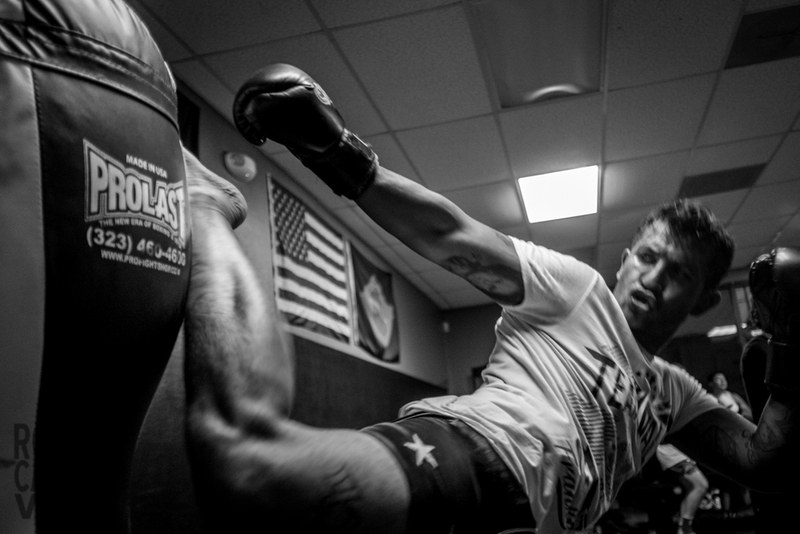 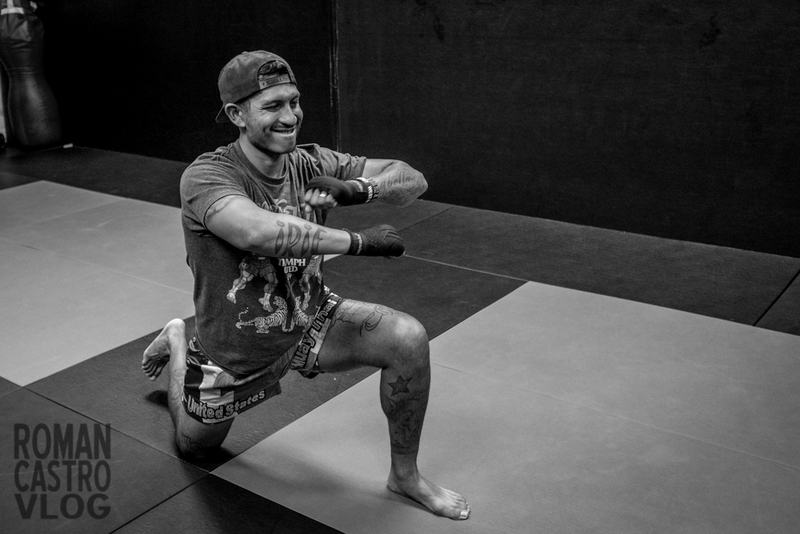 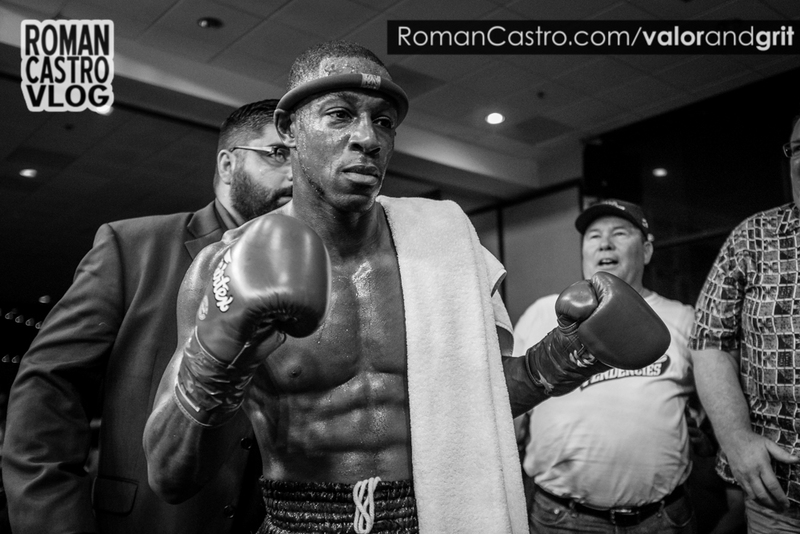 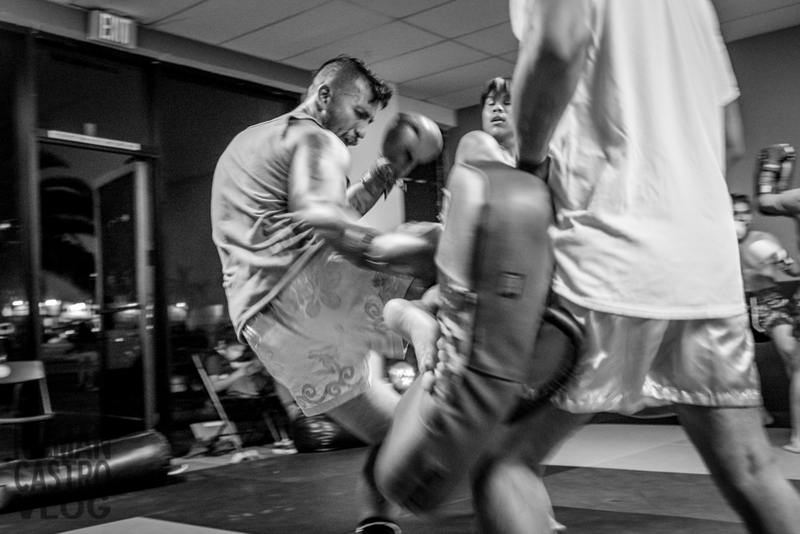 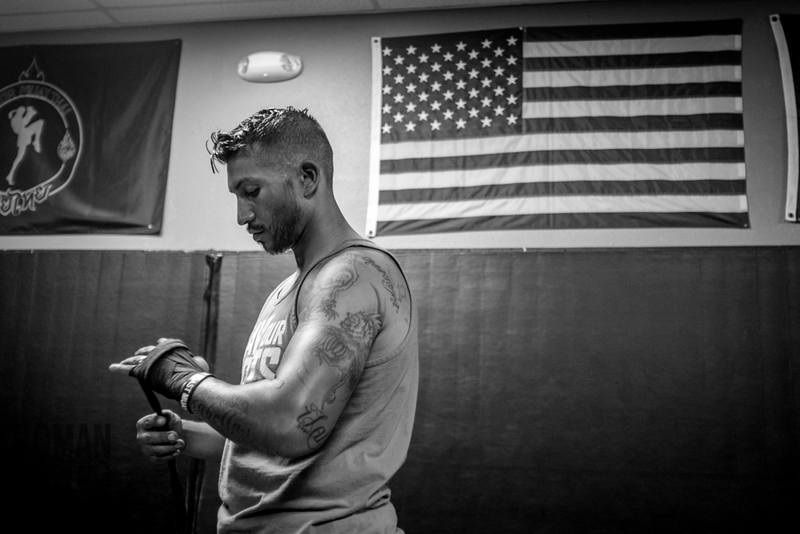 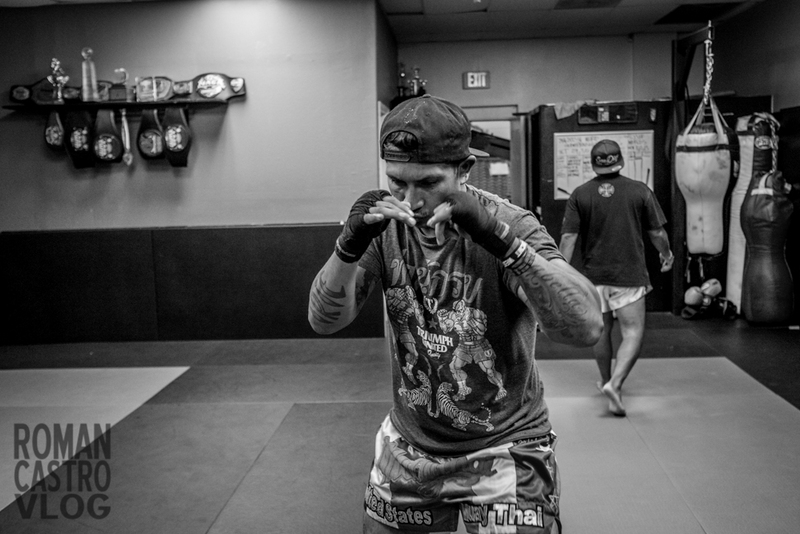 He is a professional fighter now and is training for the biggest challenge of his career. 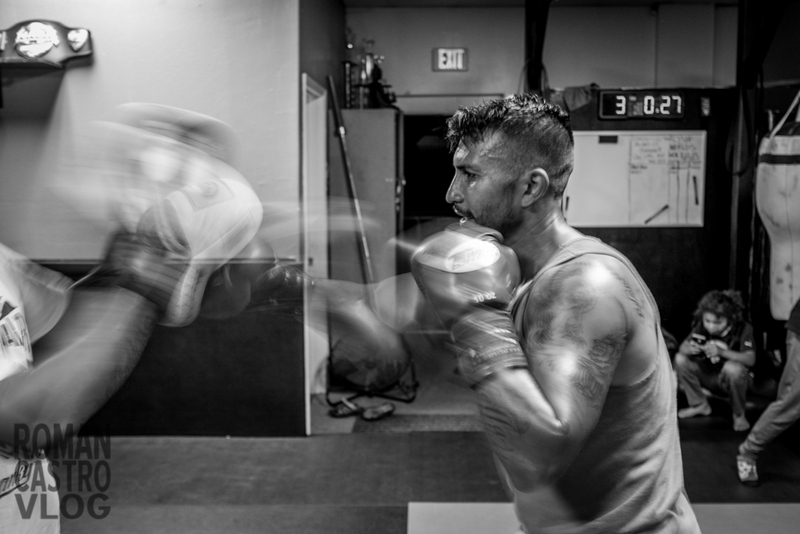 These photos are part of the photo essay of his journey. 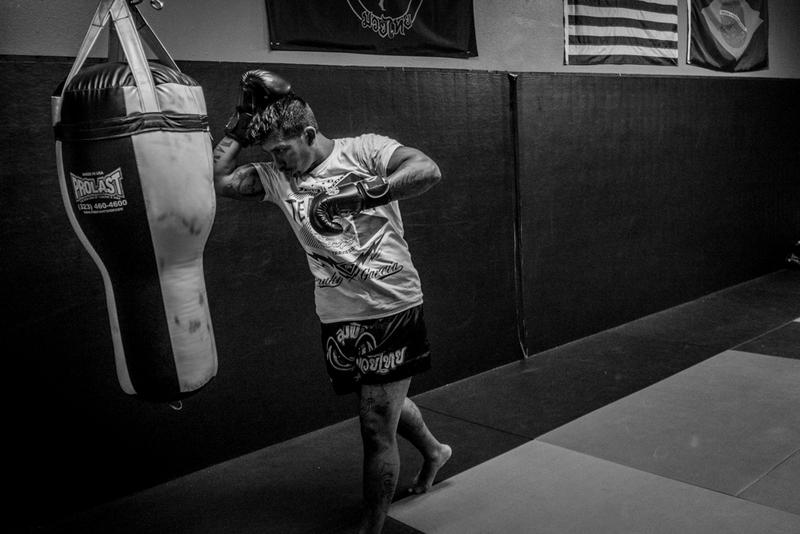 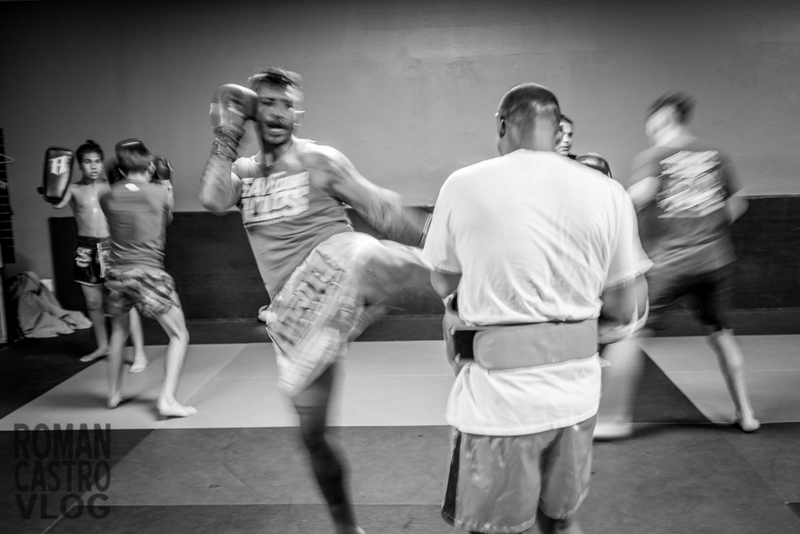 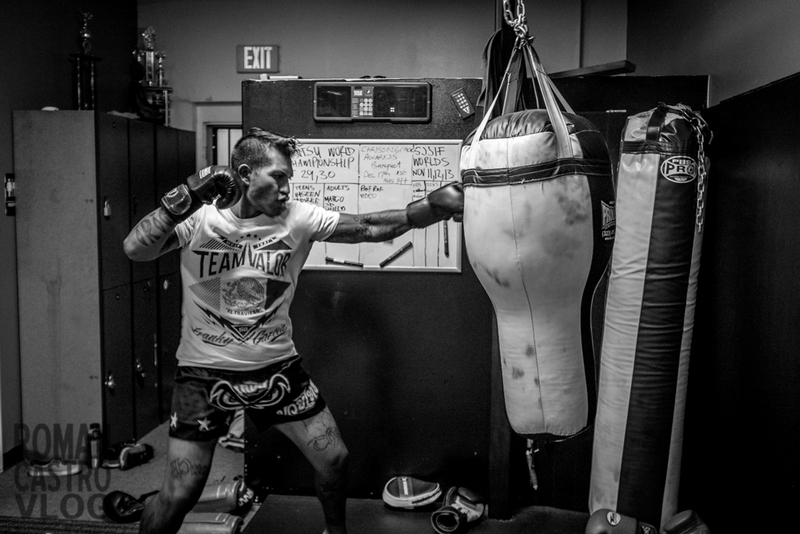 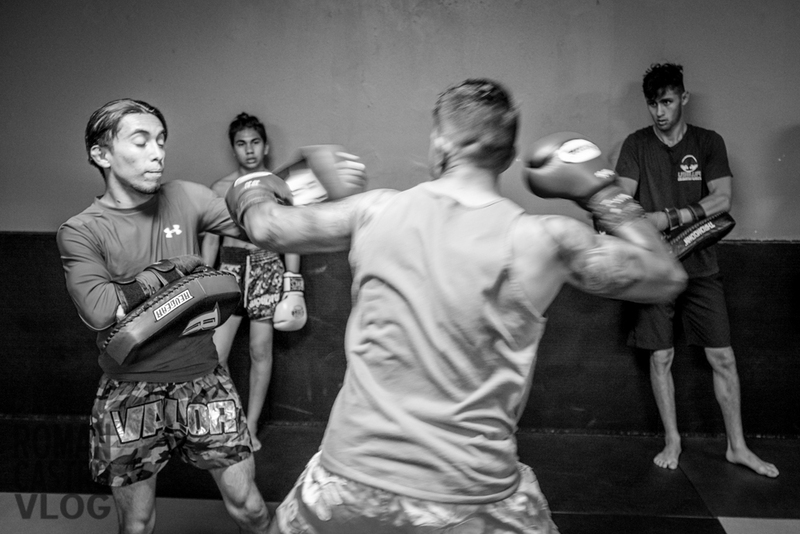 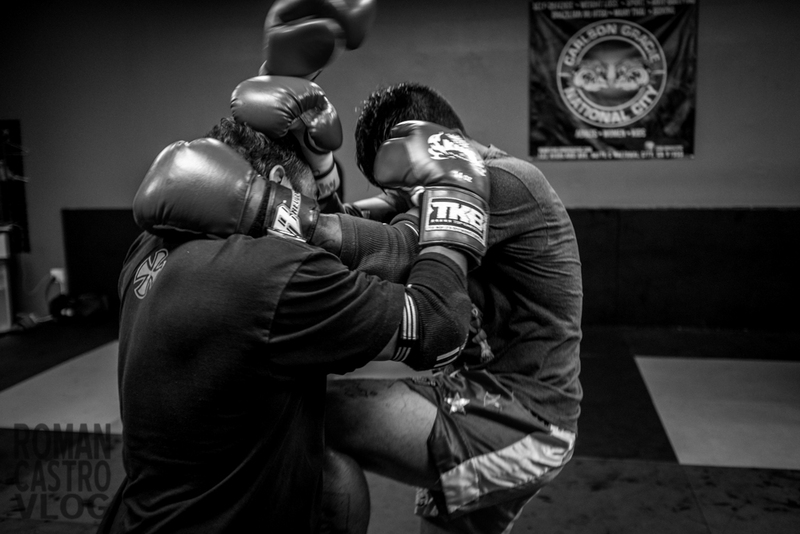 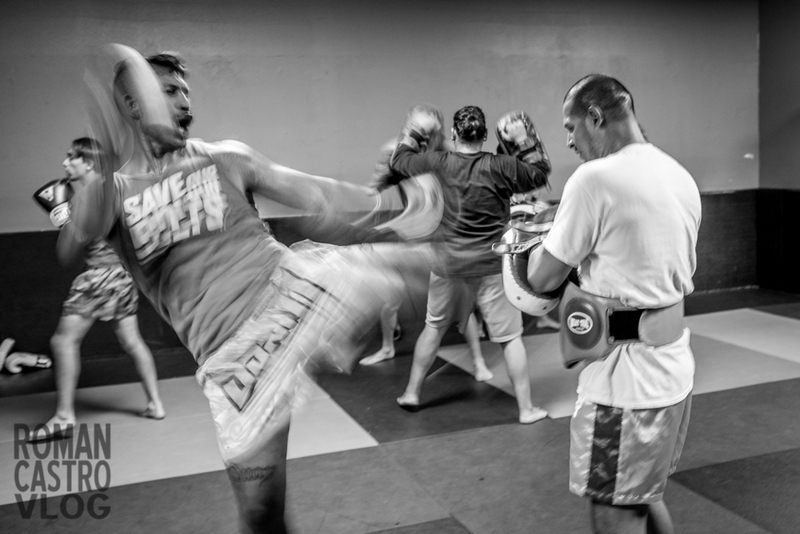 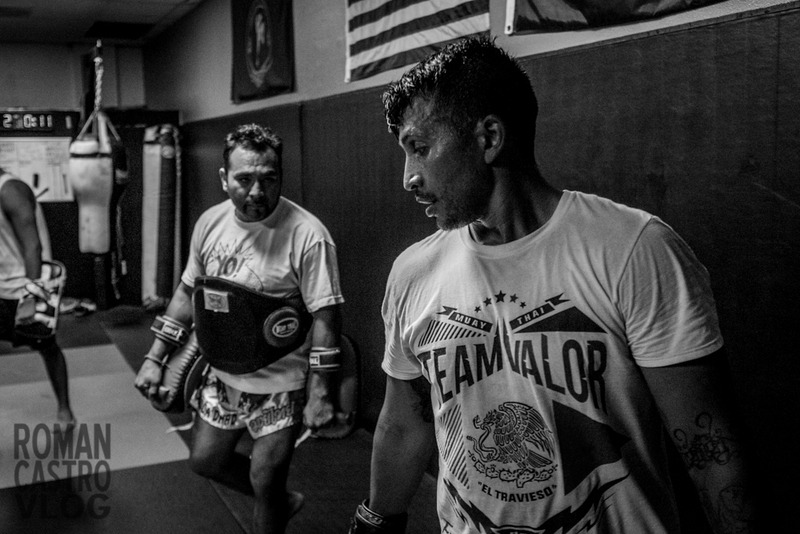 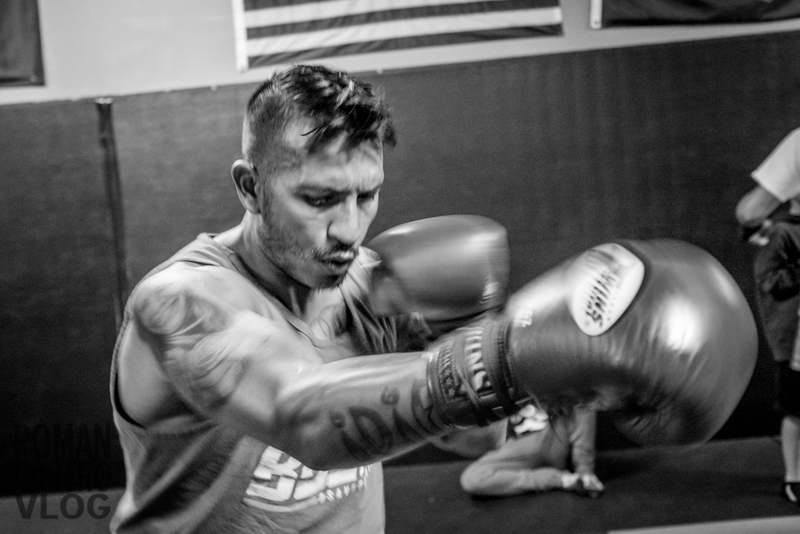 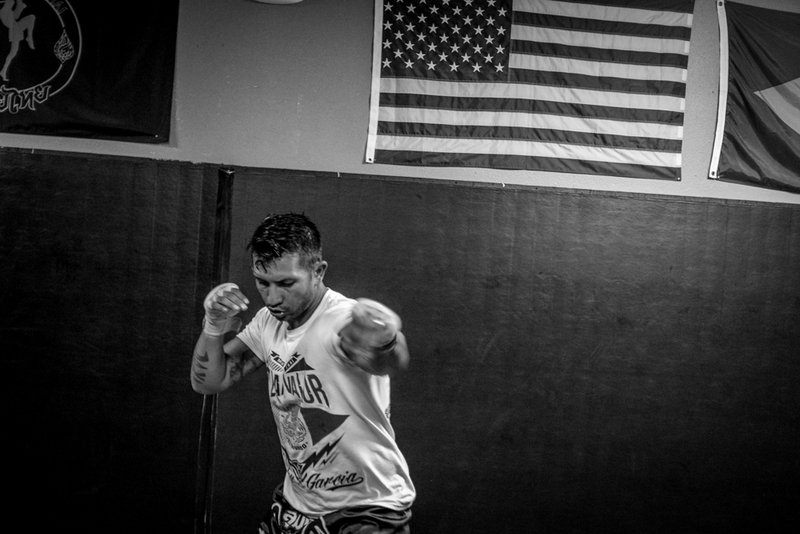 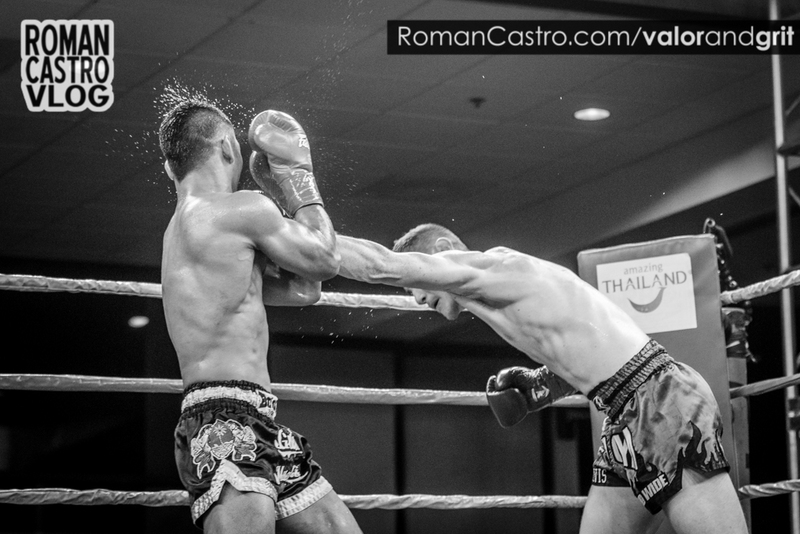 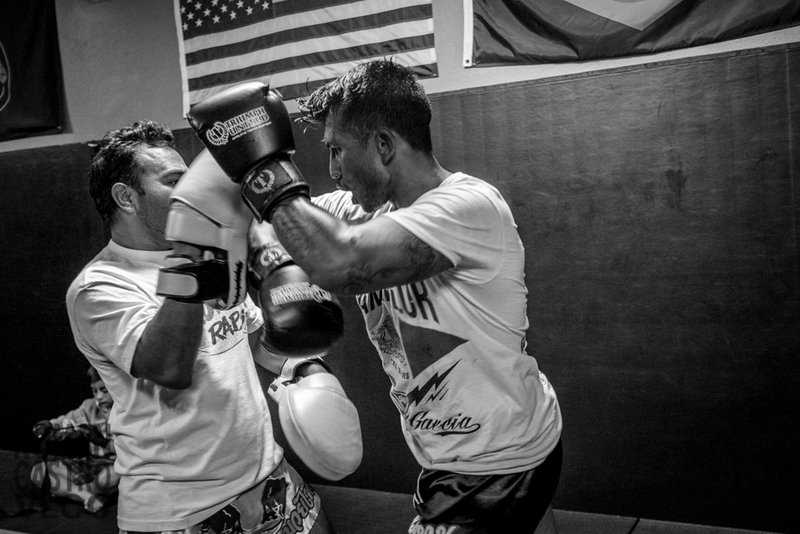 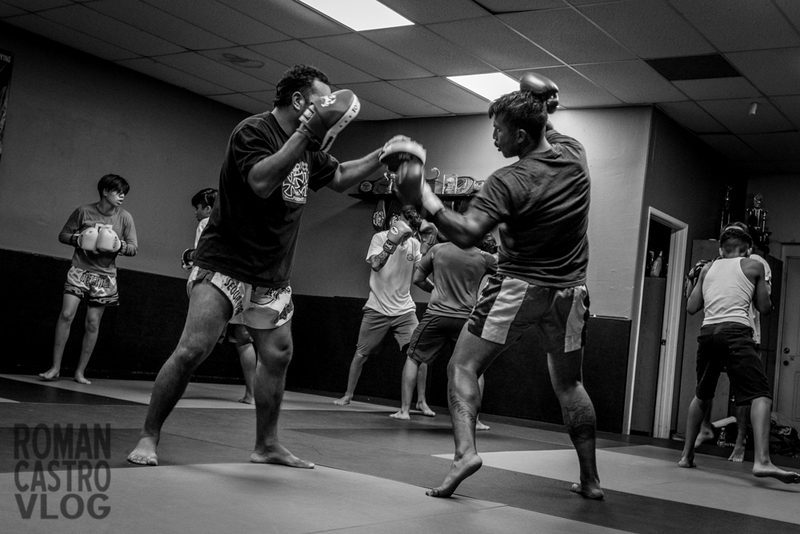 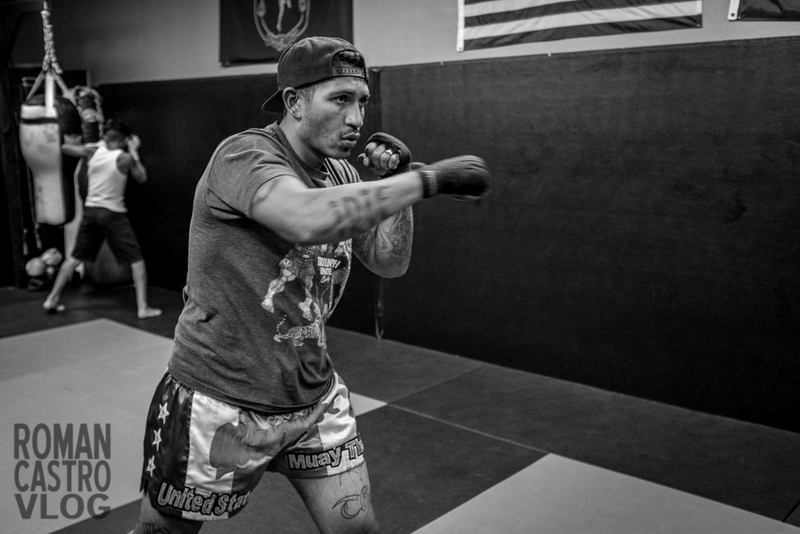 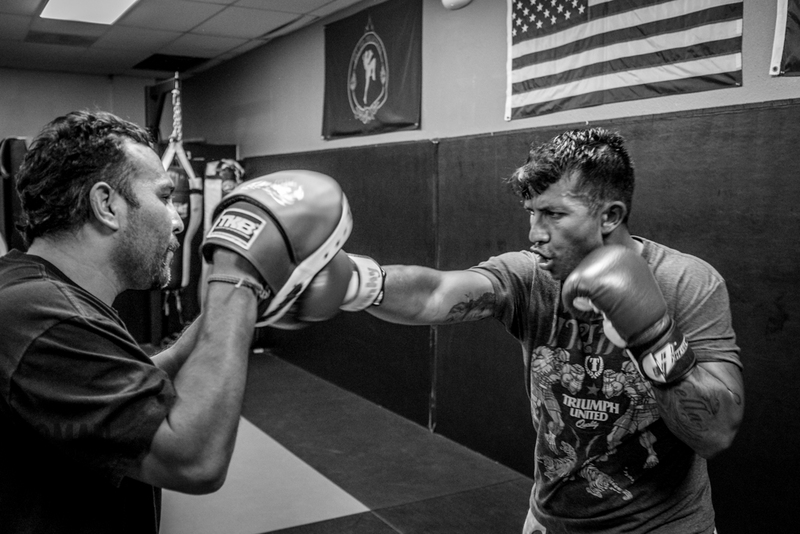 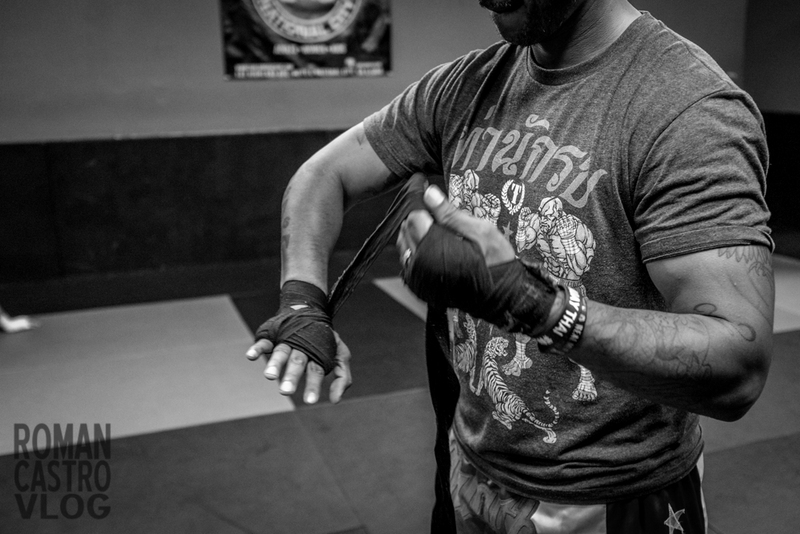 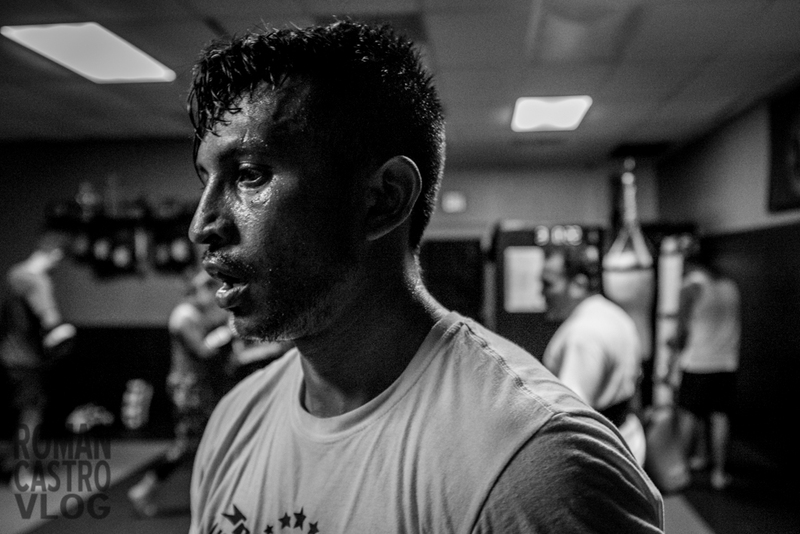 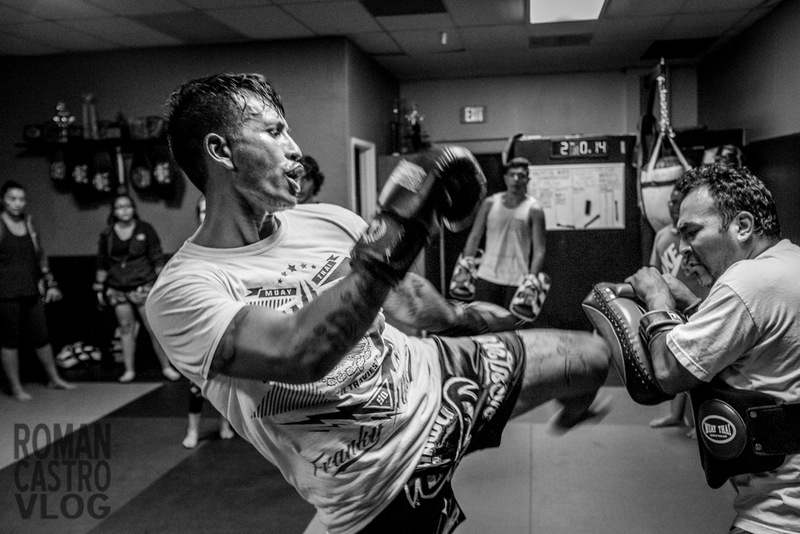 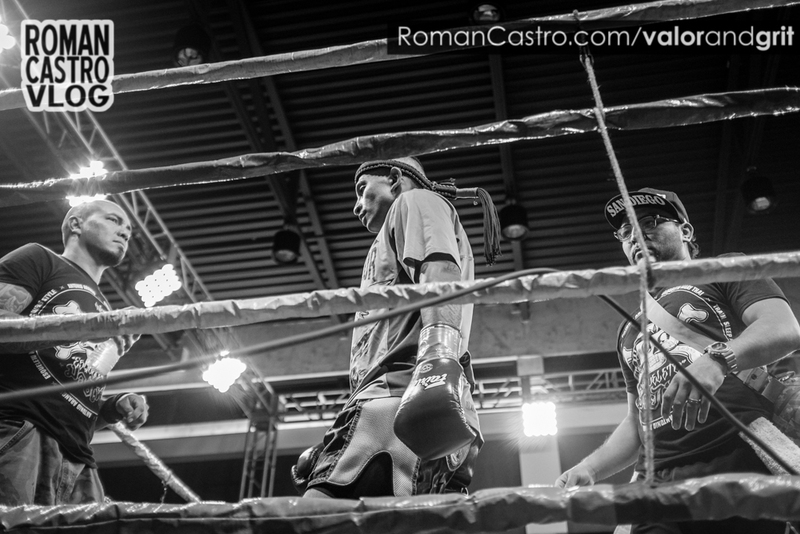 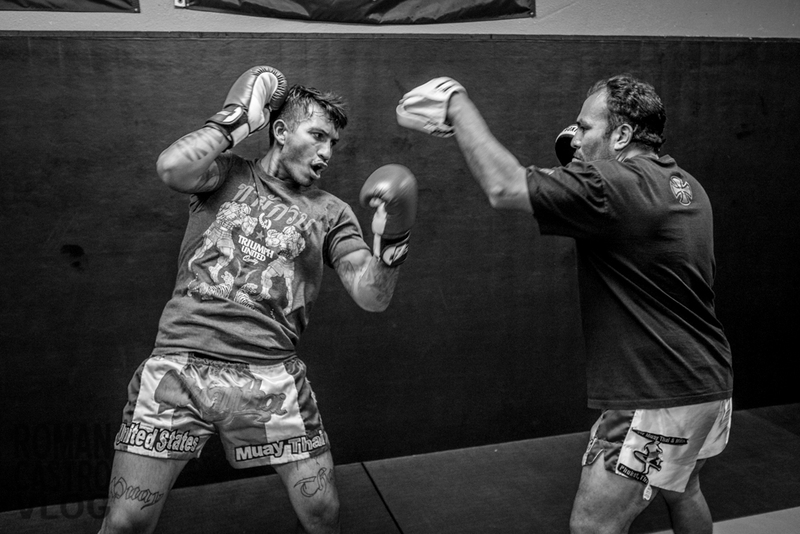 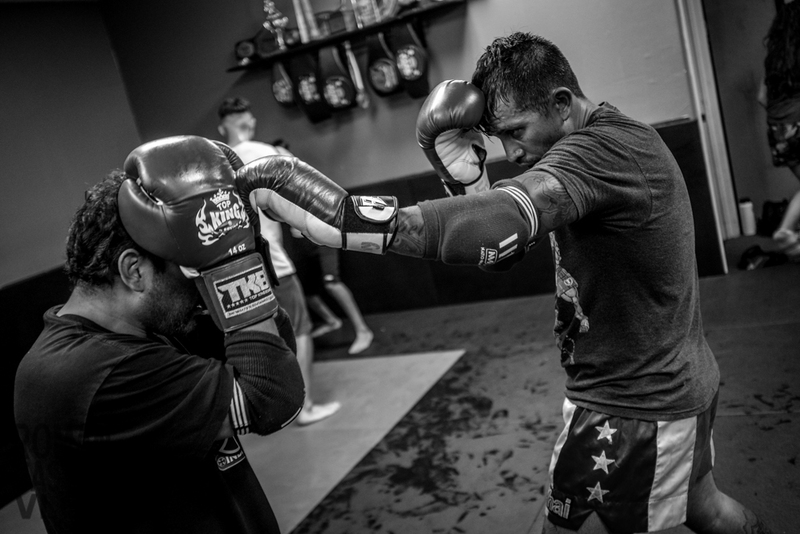 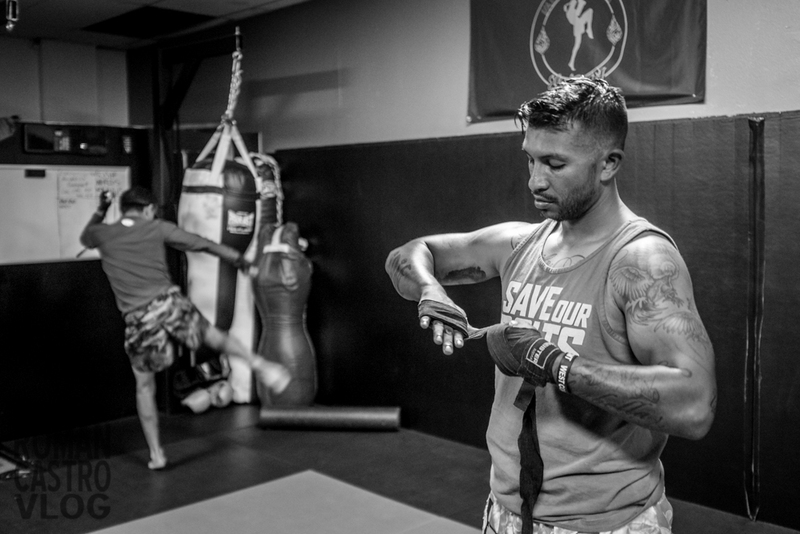 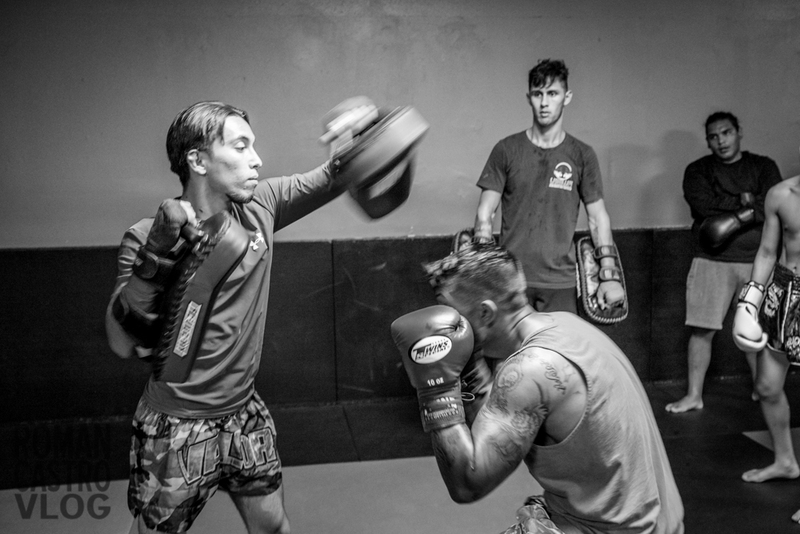 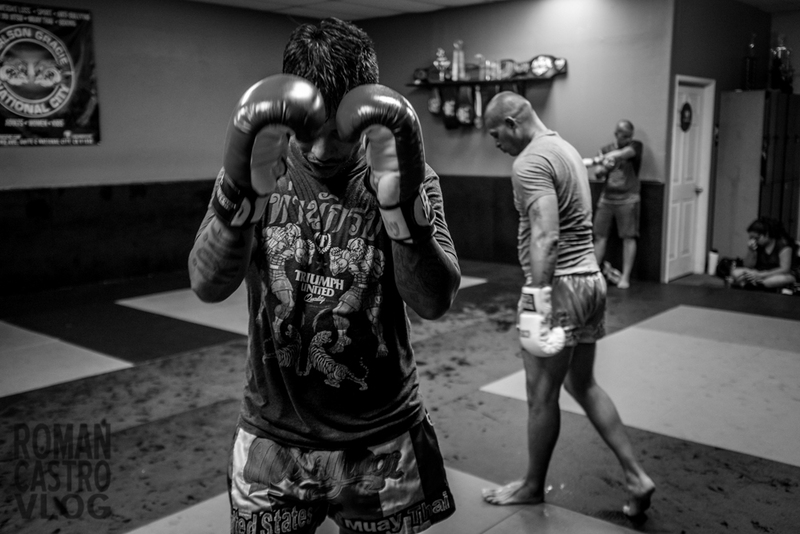 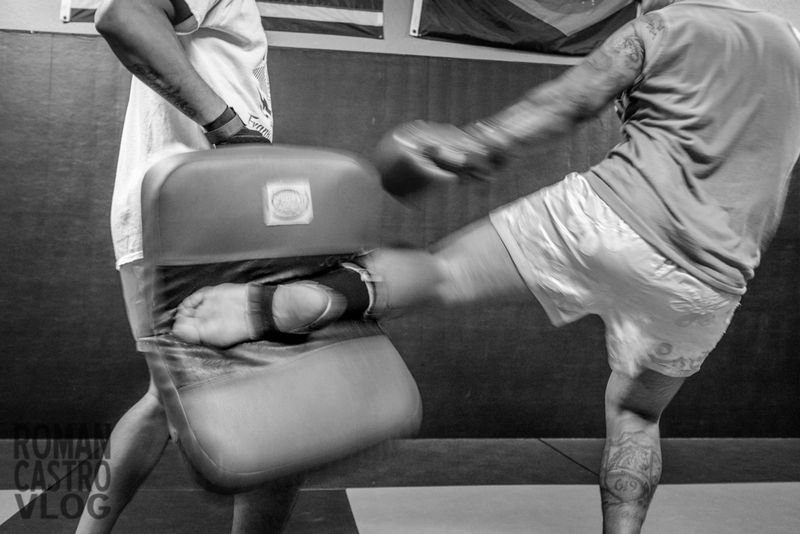 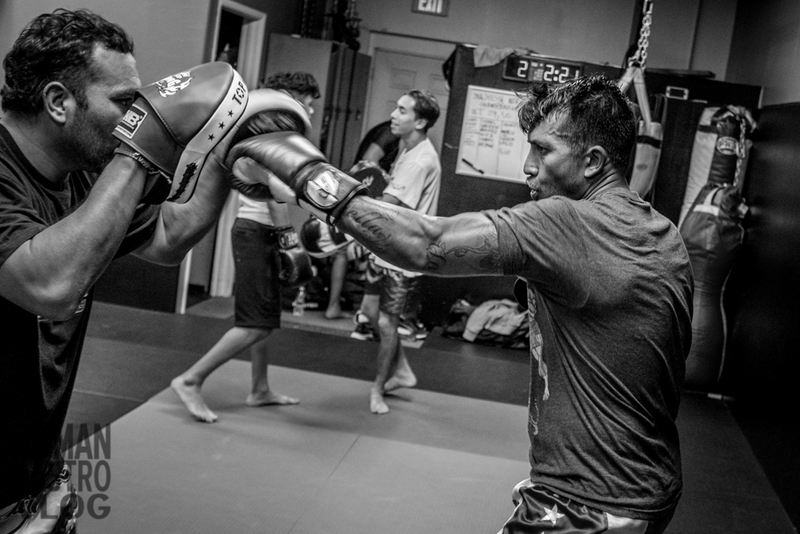 Big thank you to John Vargas head coach at Valor Muay Thai for letting us shoot.